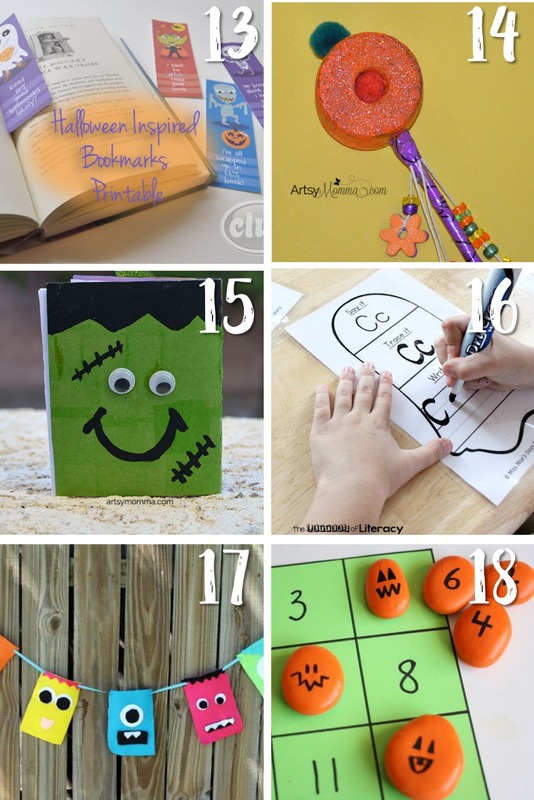 The BEST fall activities for kids in a classroom setting include arts & crafts, fall science, and STEM activities, literacy and math ideas kids will love! Fall is a bustling time in our classrooms. The excitement of a new school year is still going strong and our students are eager to learn. 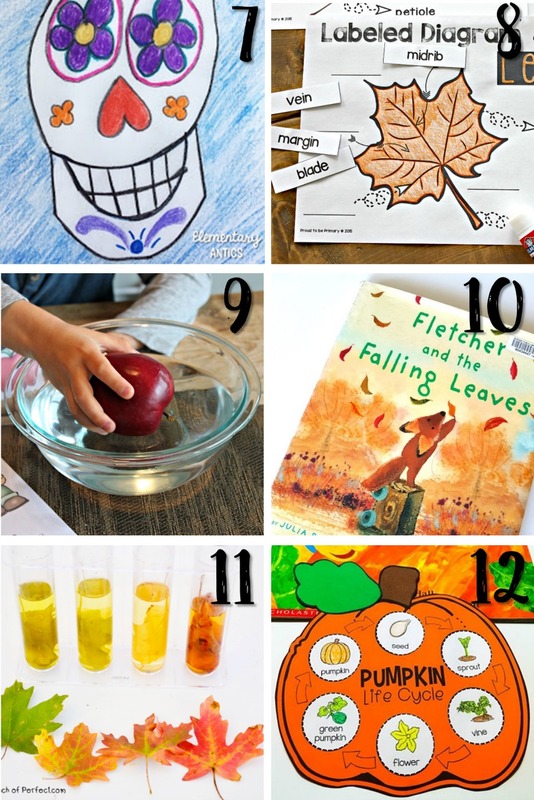 Apples and pumpkins, leaves and the changing seasons all provide wonderful themes for learning activities. Look no further! 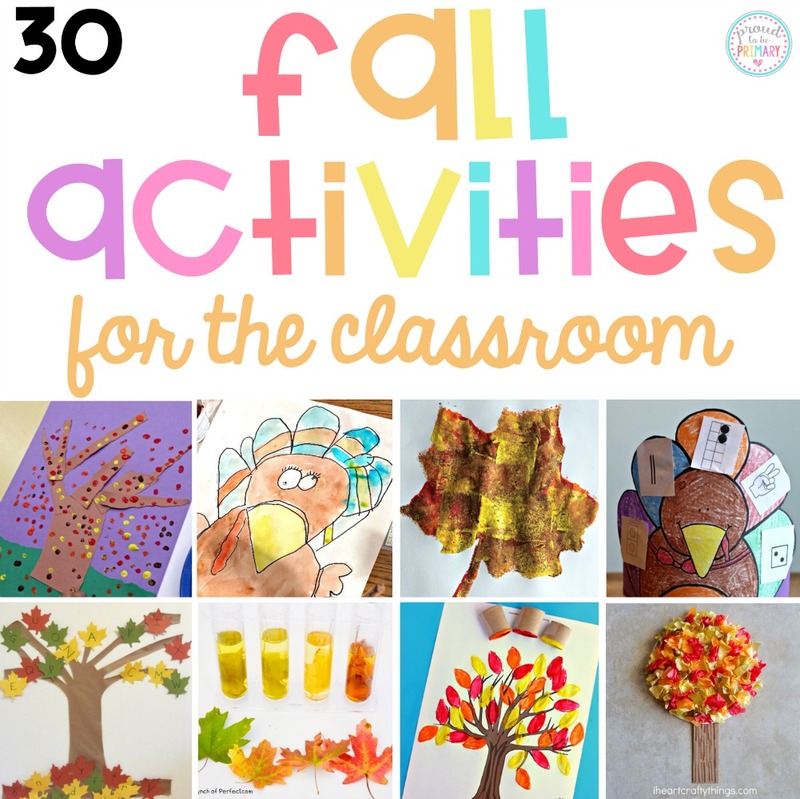 Here are 30 of the best fall activities for the classroom! 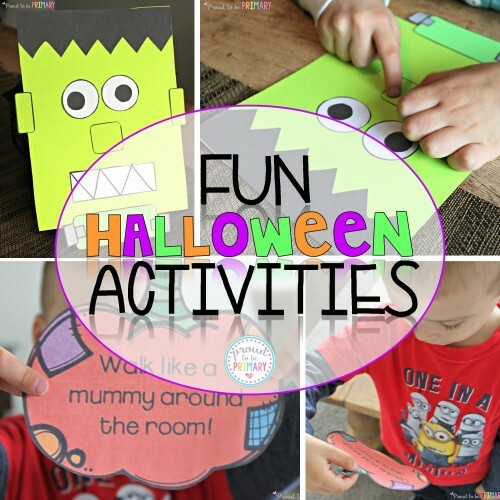 Need some ideas to use with your students this autumn? 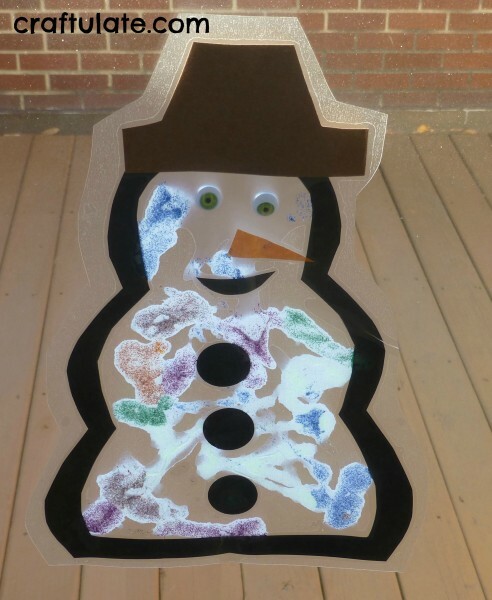 Seasonal activities are the most fun! 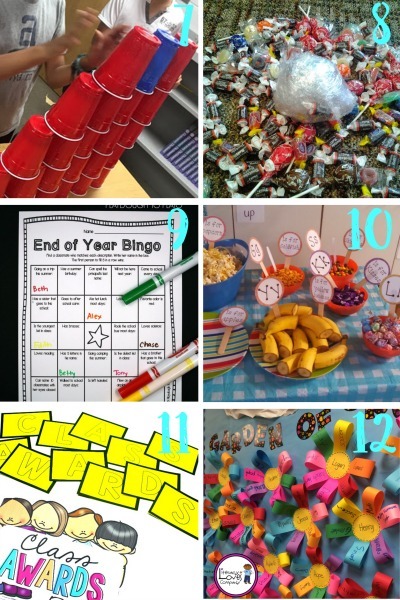 These ideas, activities, and freebies are the perfect inspiration for your fall lessons and are bound to keep your class busy and motivated. 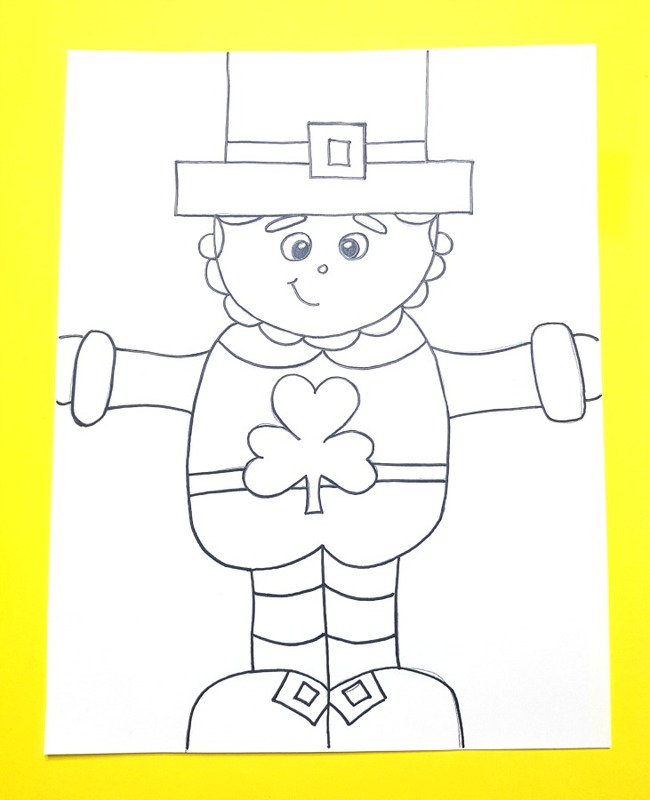 Coloring, cutting, and pasting results in beautiful fall arts and crafts displays in your classroom. 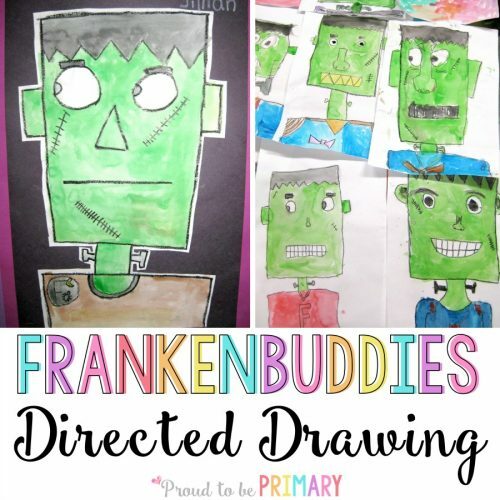 When the projects are completed, your students will enjoy looking at them in the classroom and proudly share them with their parents at home. Try these great ideas! 1. 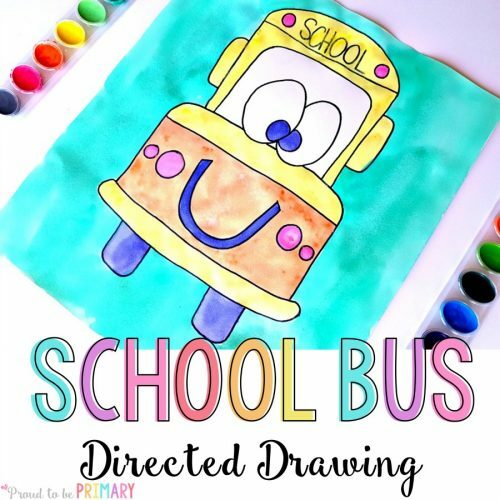 Children can learn how to read, listen to, and follow directions in this turkey directed drawing activity. 2. 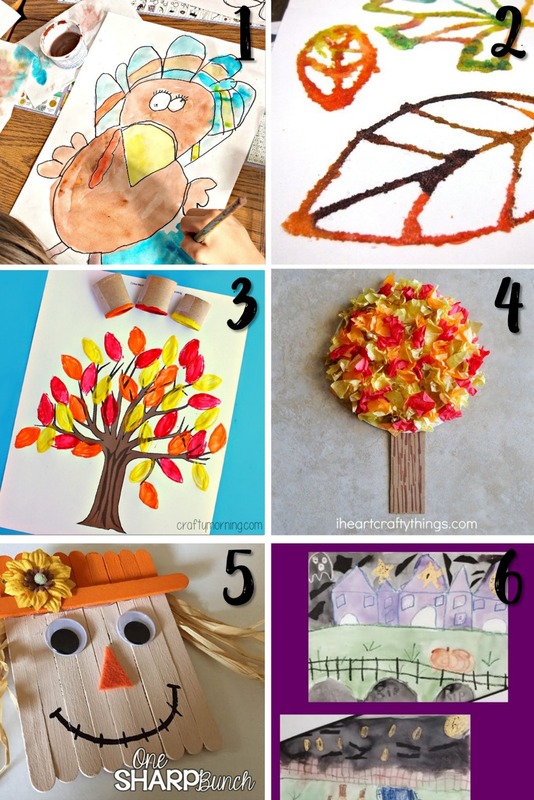 Take a little glue and salt, and add watercolor paints to create these watercolor fall leaves. 3. 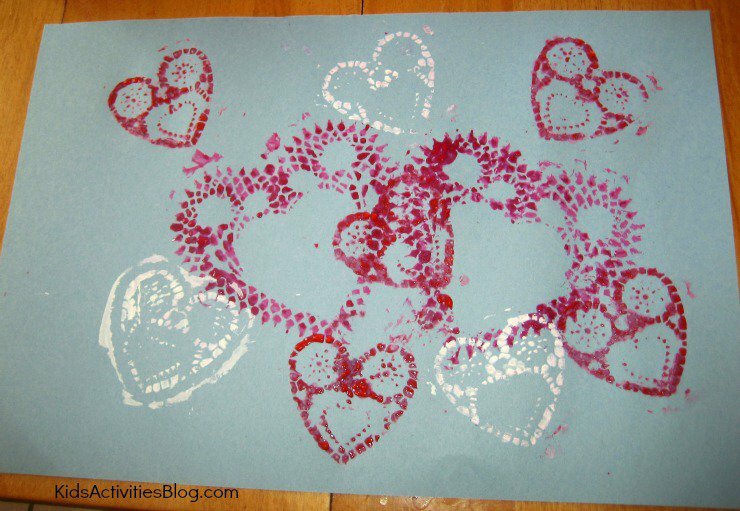 Toilet paper rolls can be used to create a unique leaf stamping project. 4. 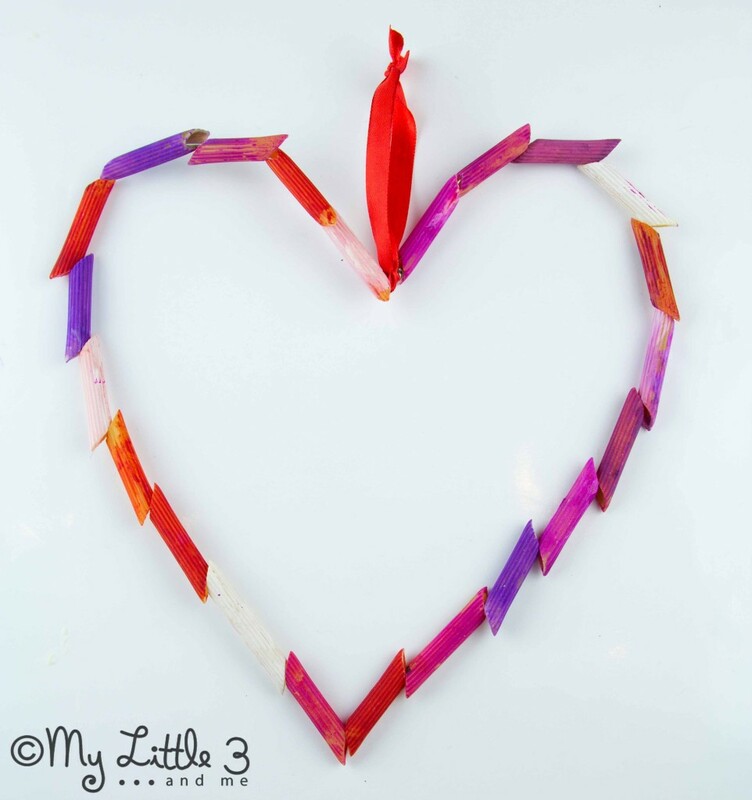 Take tiny bits of tissue paper and create a beautiful fall tree. 5. 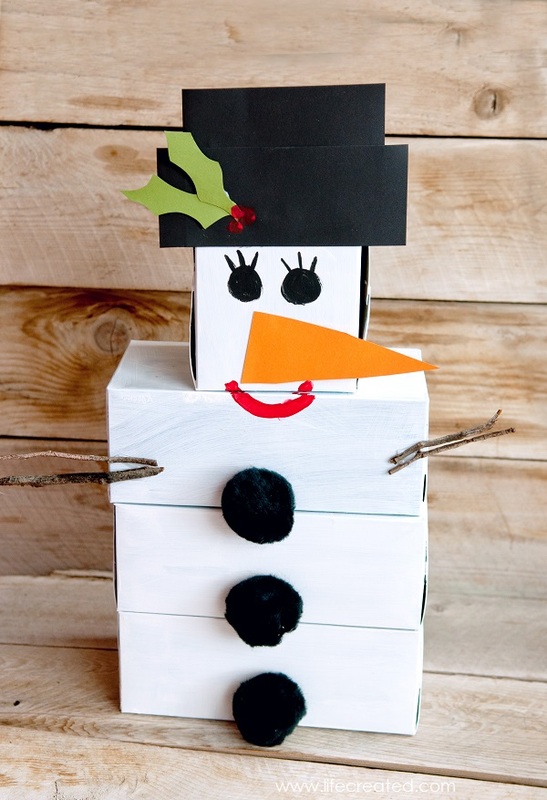 A fun craftivity for a fall farm unit, make a popsicle stick scarecrow. 6. 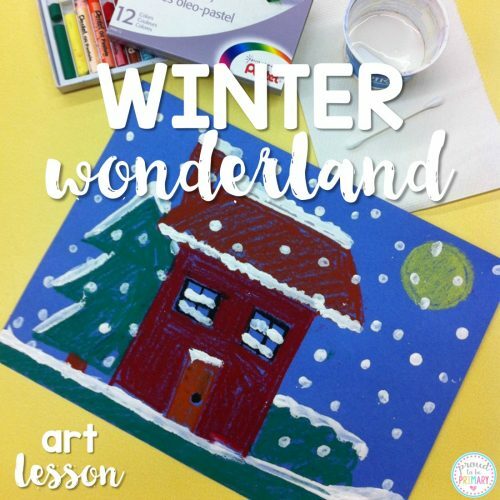 Read an informative book about bats and try this watercolor art activity. 7. 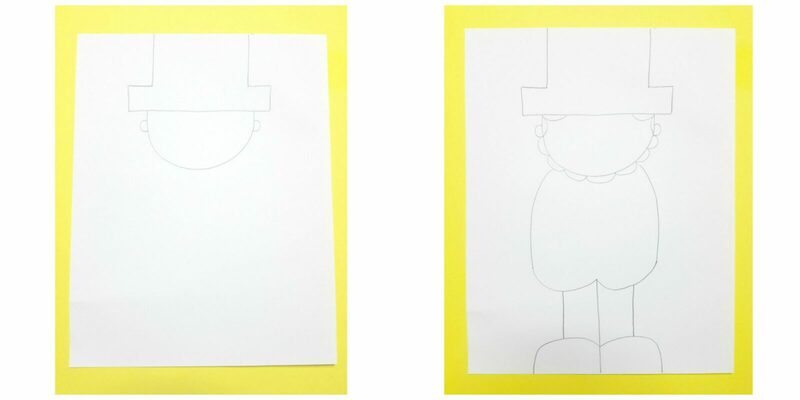 Celebrate the Day of the Dead with a sugar skull directed drawing. 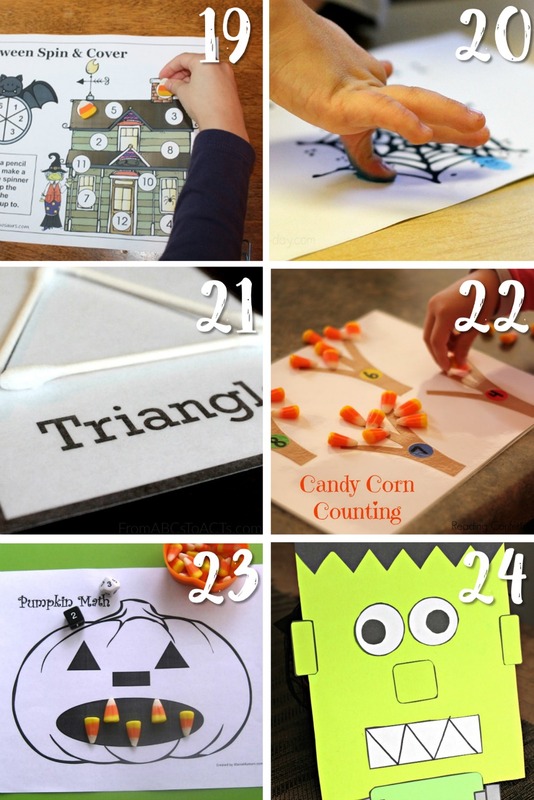 The following fall classroom ideas are full of Science, Technology, Engineering, and Math. 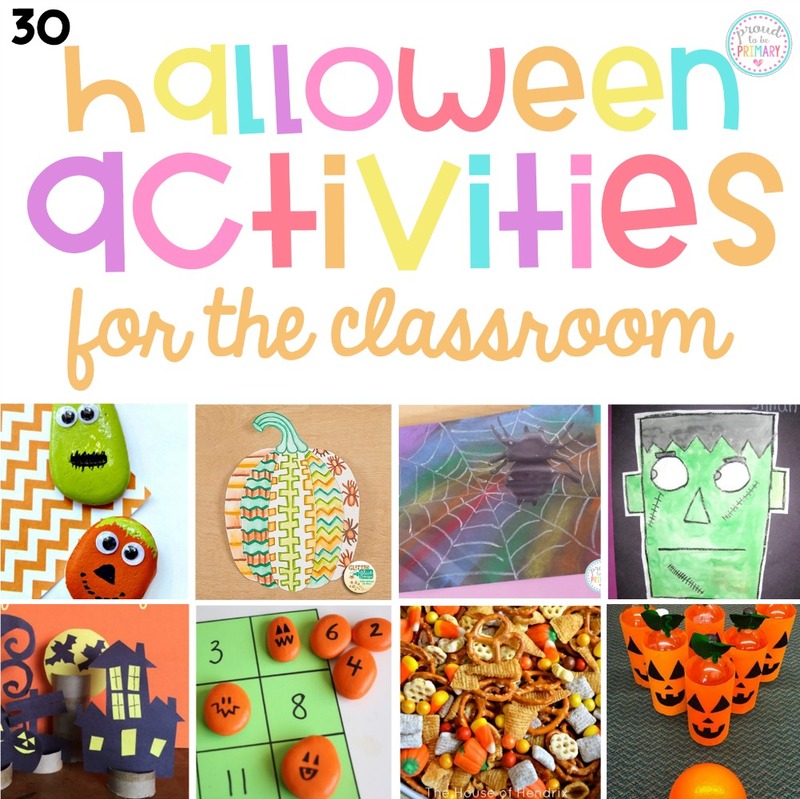 If you’re trying to incorporate more of these learning opportunities into your fall lessons, try these activities. 8. 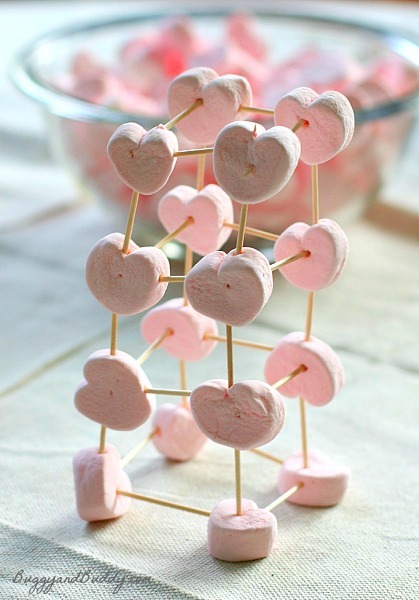 Mixing up ELA and Science has never been more fun than with this abundant unit. 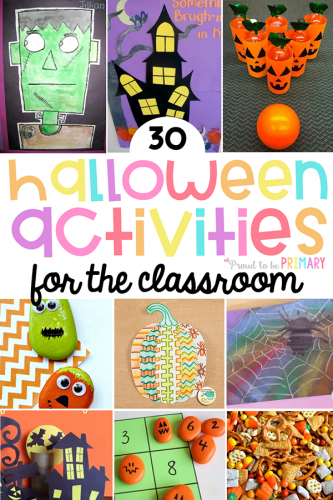 that includes lessons on pumpkins, apples, leaves, and more! 9. 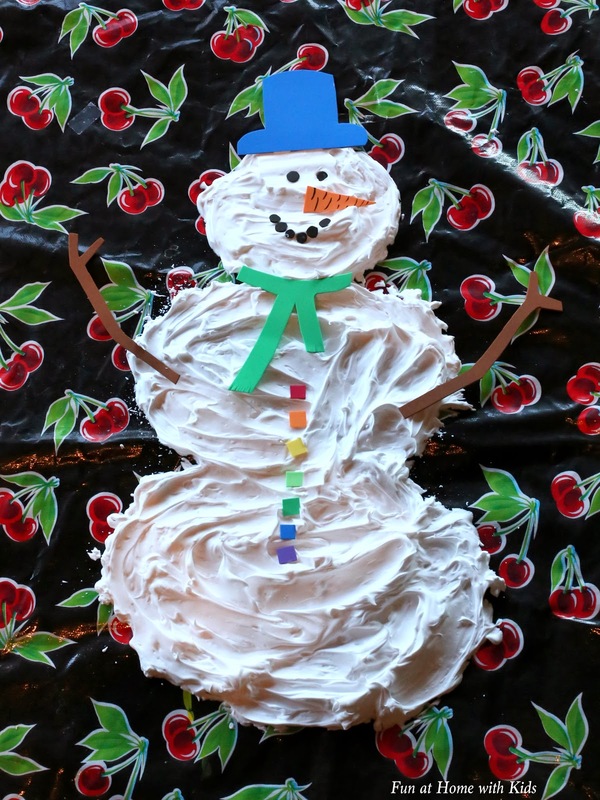 Apples are a healthy treat and make for a fun, hands-on inquiry unit. 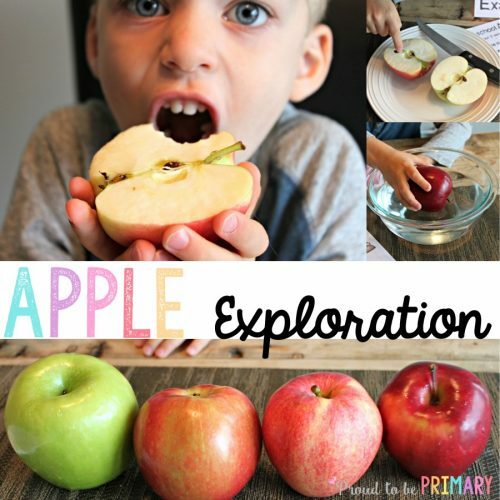 Add a delicious Science and sensory exploration to your lessons with this FREE apple resource. 10. 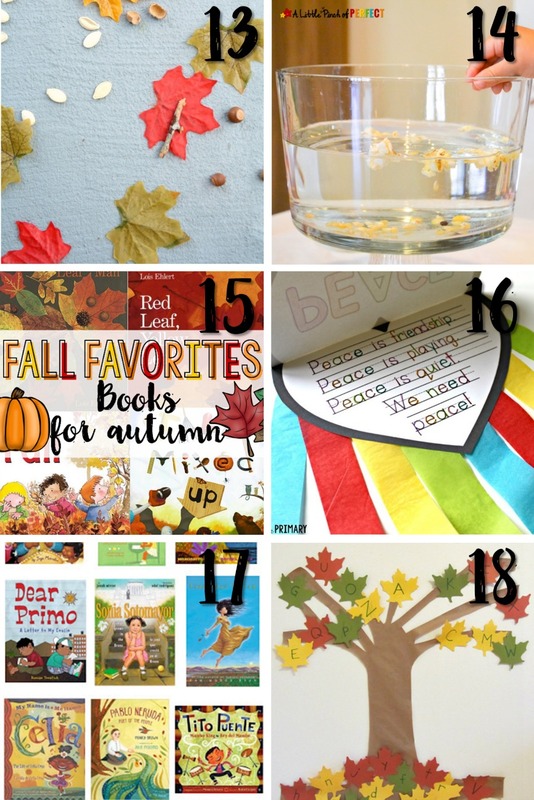 Teach children about leaves in fall with a book about leaves and an activity to further their understanding. 11. 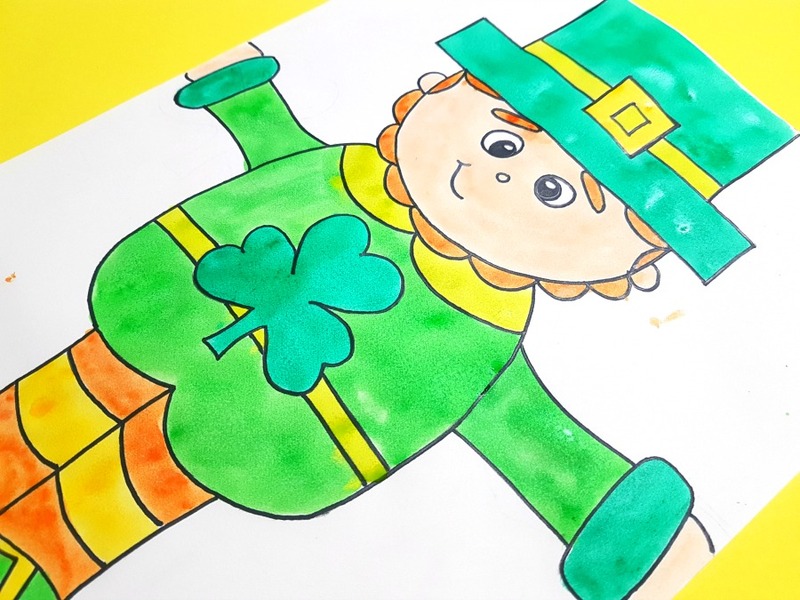 Explore the concept of color and the understanding of chlorophyll with this leaf science experiment. 12. 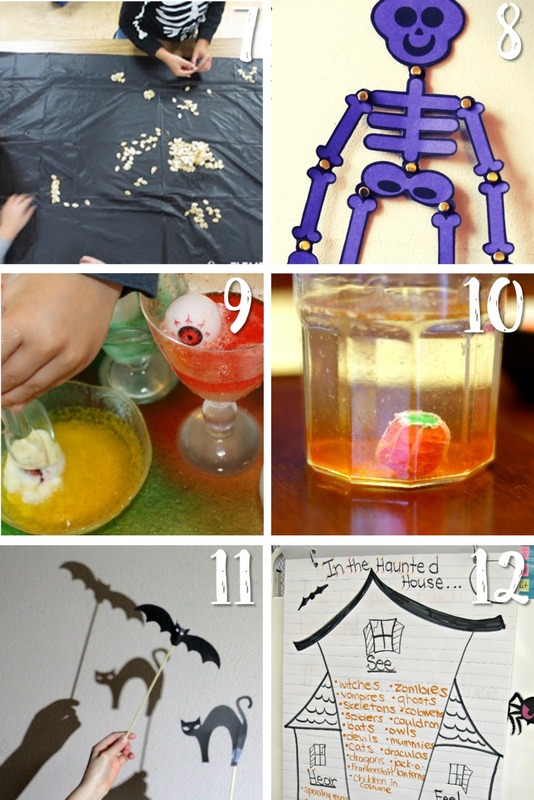 Learn about the life cycle of a pumpkin with these hands-on activities. 13. 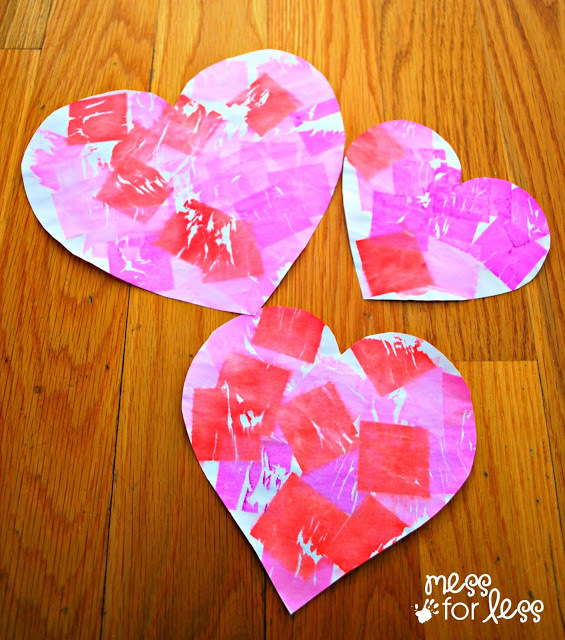 Try this fun falling leaf activity with contact paper that results in a unique piece of artwork. 14. 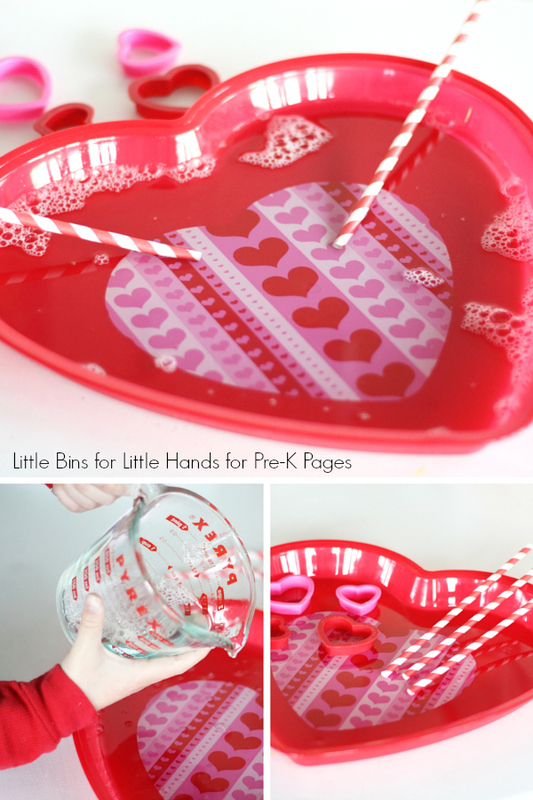 Teach children about units of measurement with this fun corn and popcorn sensory bin. 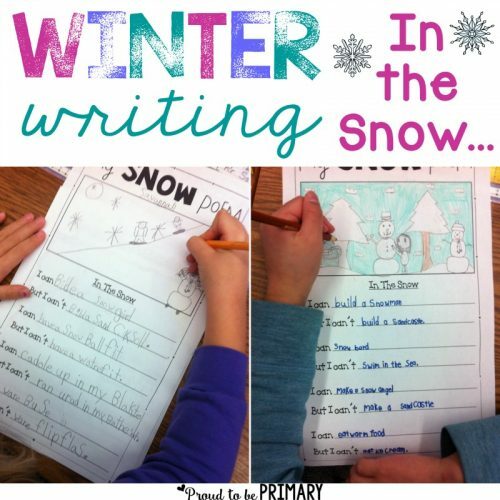 Give children lots of opportunities to practice reading and writing in their daily learning activities. 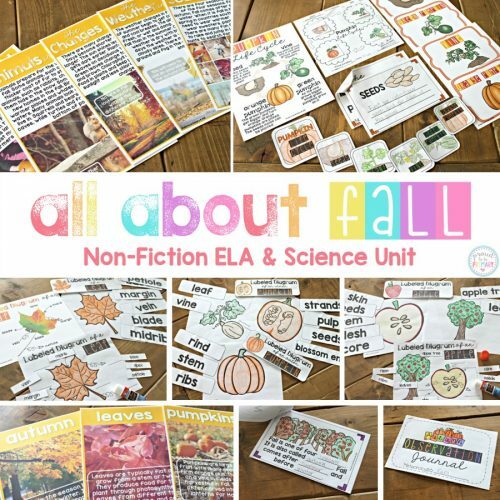 A unit about fall most certainly needs a literacy and writing component. 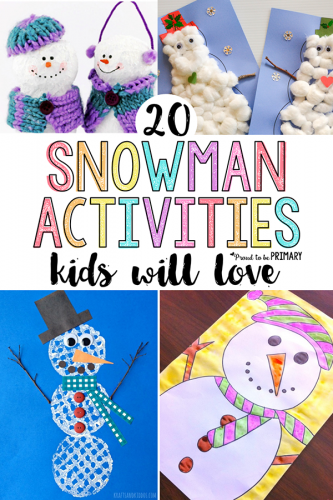 Take a look at these recommendations. 15. 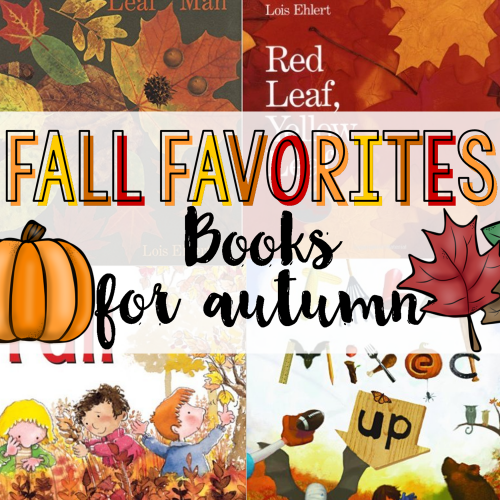 This is a useful list of children’s books about autumn that you may find useful. 16. 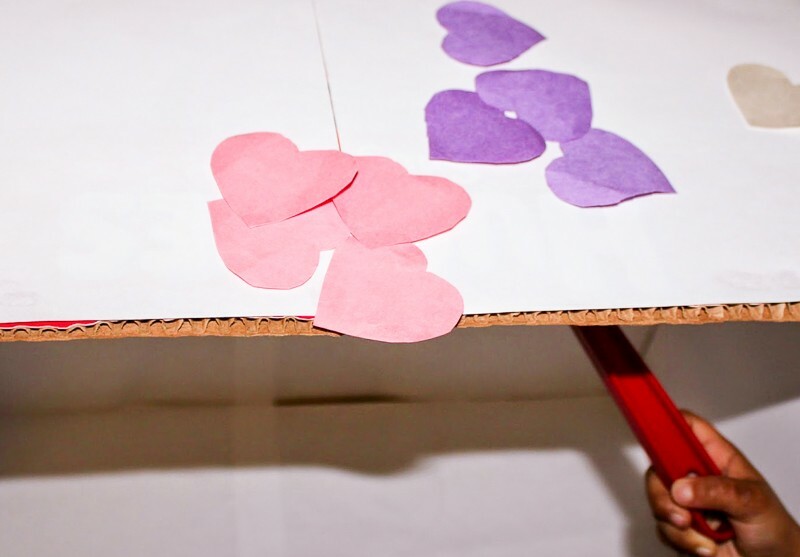 Promote peace during fall holidays with this dove peace foldable writing craft. 17. Learn about Hispanic heritage with these book suggestions. 18. 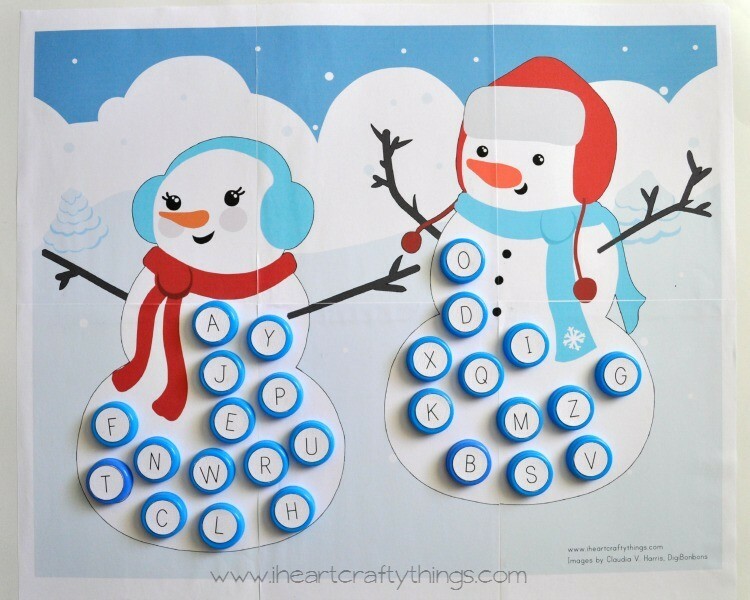 Practice upper and lower case letters with a sorting tree. 19. 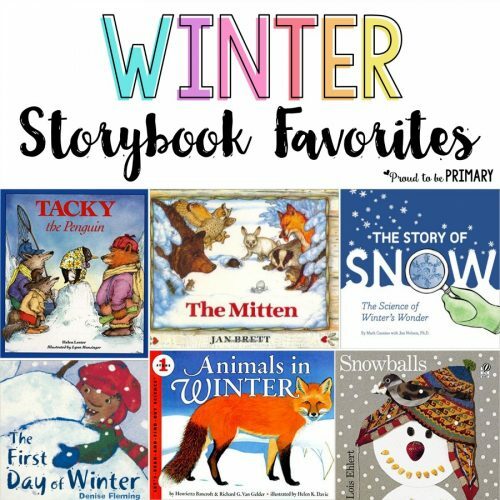 Here are some ideas for using the book Stone Soup in the classroom for teaching thankfulness. 20. 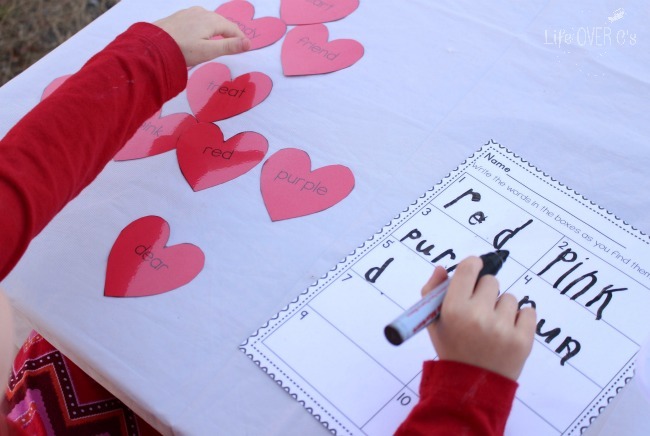 CVC words are more fun to build on an apple tree mat. 21. 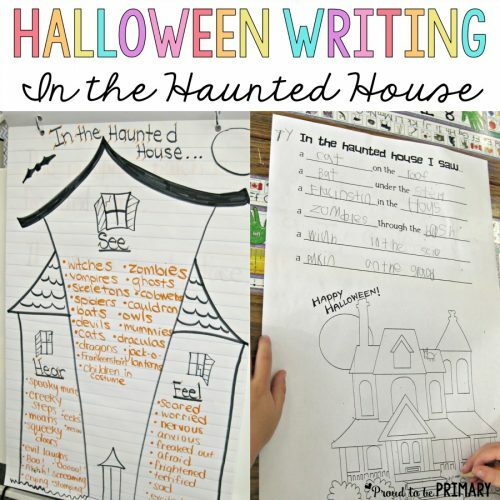 Students grab and cover the appropriate letters on the pumpkin in this letter recognition activity. Math is sometimes difficult to fit in when you are doing a fun unit theme. 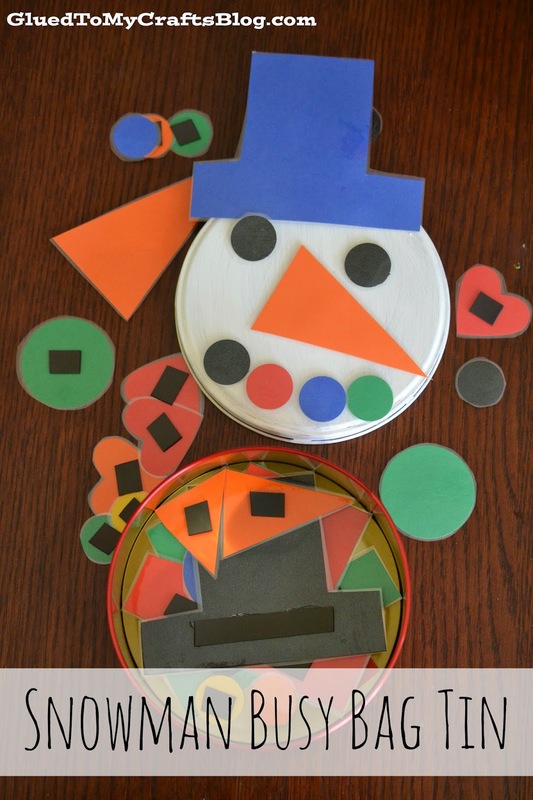 But in this case, plenty of Math activities abound. 22. 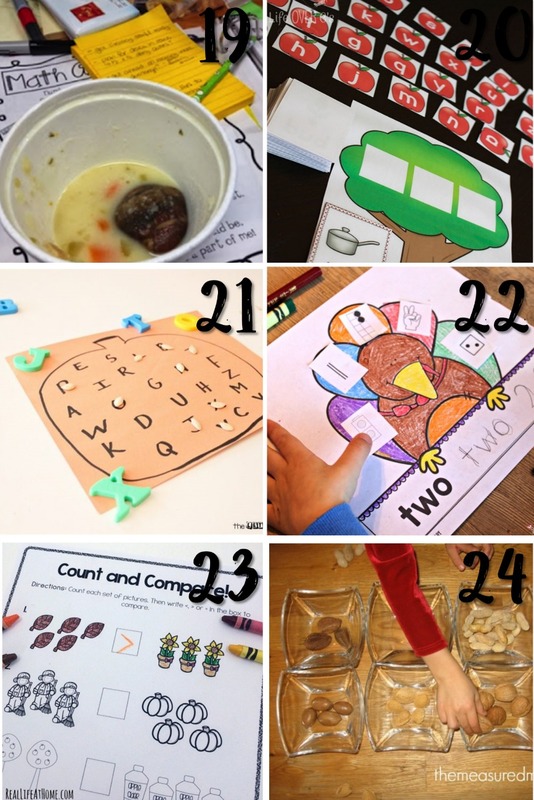 These are the cutest turkeys to make and a great way to review the many different ways to represent numbers. 23. 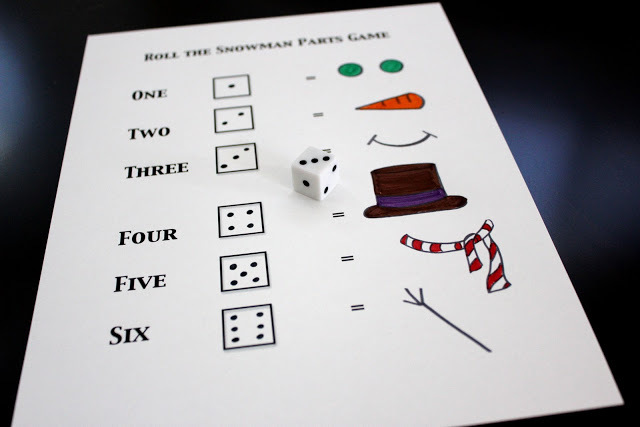 Practice counting and basic addition with this fall math worksheet pack. 24. 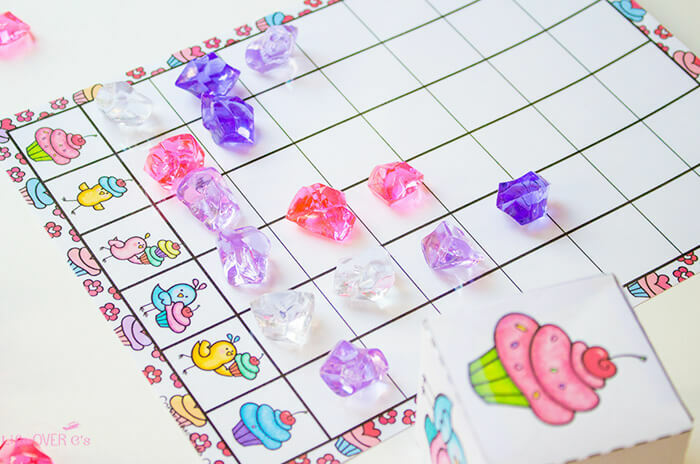 Snack time can be fun with this roll-and-eat snack mat (for a nut-free classroom, use raisins or other small treats). 25. 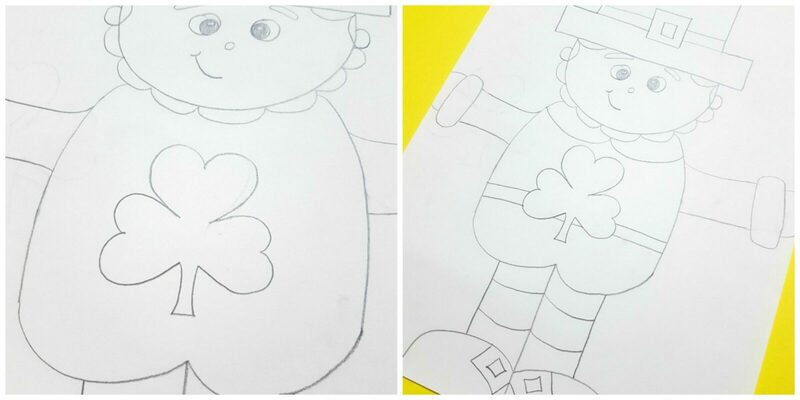 Apples, Johnny Appleseed, and apple trees make great glyphs and graphing activities. 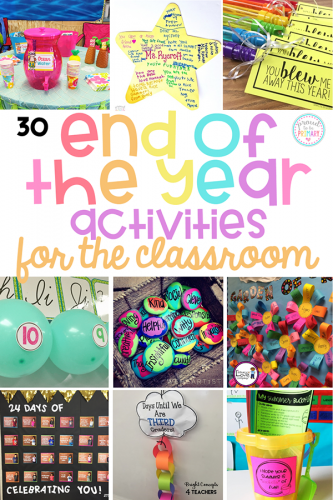 Whether you are adding onto a themed lesson plan, or finding ways to fill in some gaps in your schedule, these activities won’t disappoint. 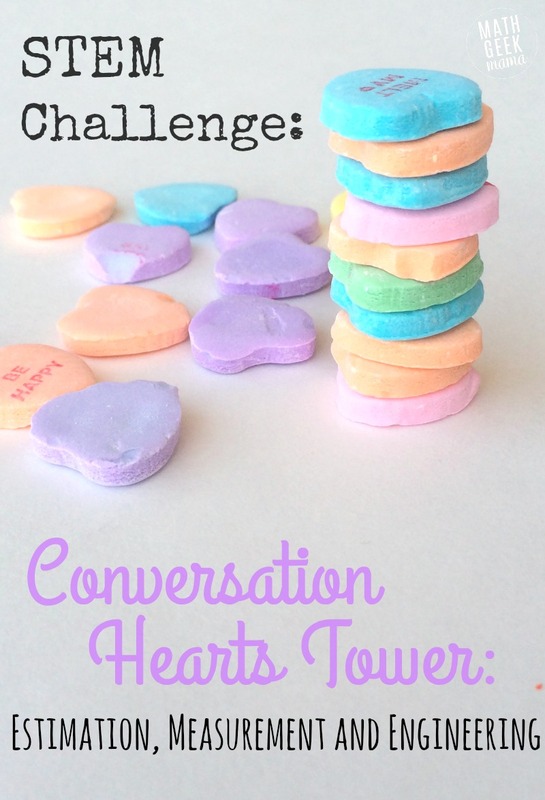 They’re fast, fun, and easy to implement on the spur of the moment. 26. Learning about apples? 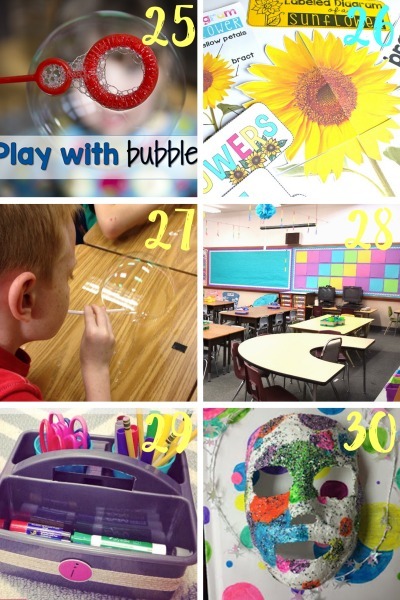 This apple unit is full of fun activities to use in your classroom. 27. 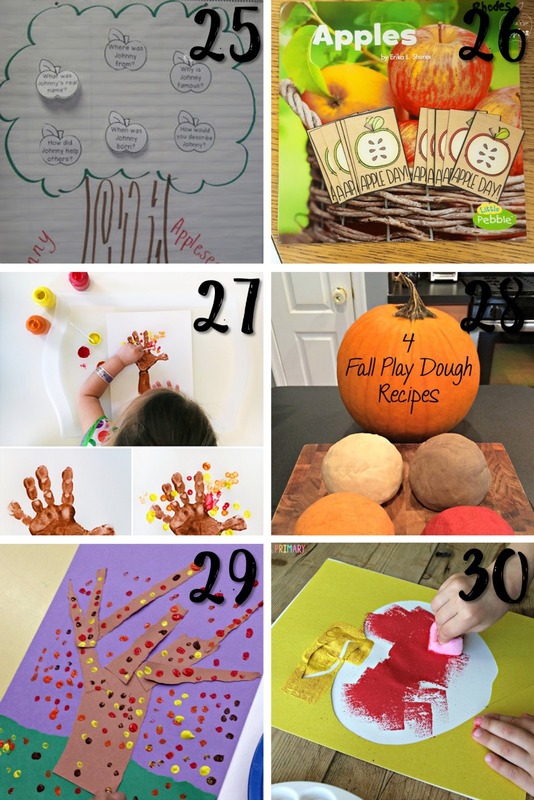 Keep little minds and busy hands engaged with these fall leaves activities. 28. 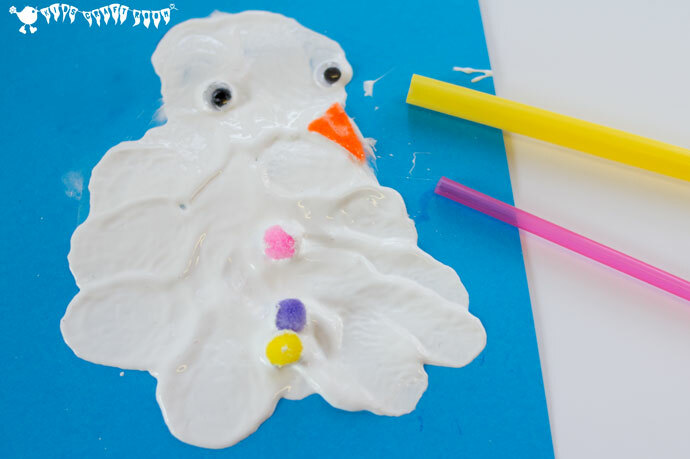 It’s always great to have some playdough on hand, and these fall-scented playdough recipes are just perfect. 29. 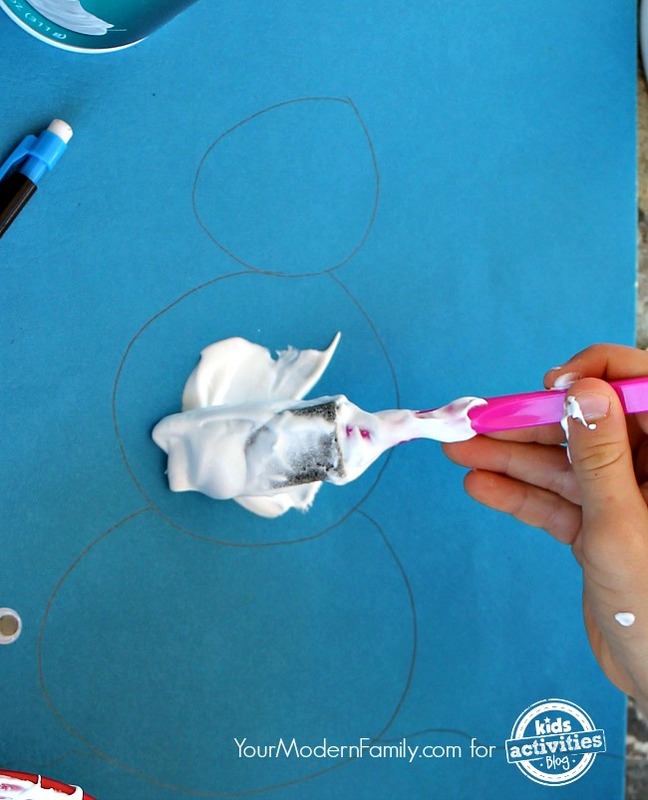 Torn paper, paint, and q-tips creates a fall tree picture that any child, regardless of artistic ability, can complete independently. 30. 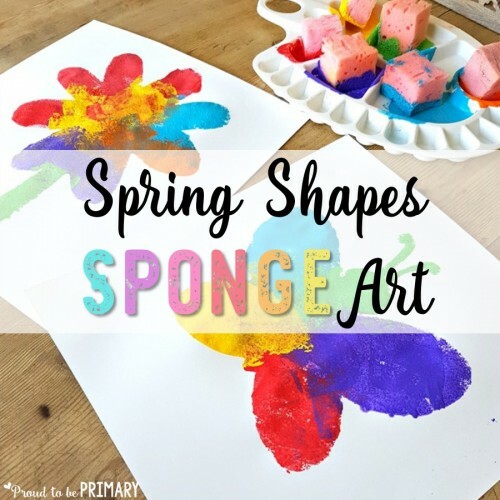 Let the kids sponge paint fall shapes to create incredibly easy artwork for the walls of your room. 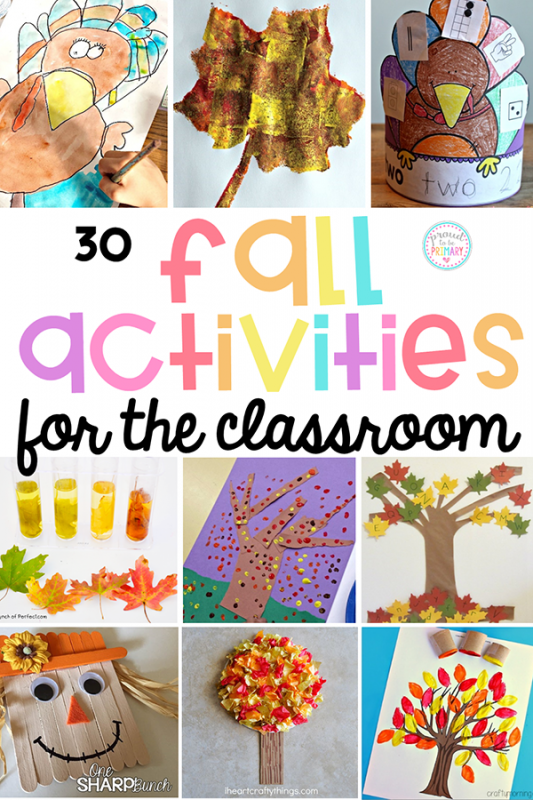 These 30 fall activities for kids will help you once you’ve begun a fall thematic unit in your classroom, or just want to add some fun fall activities to your lessons. 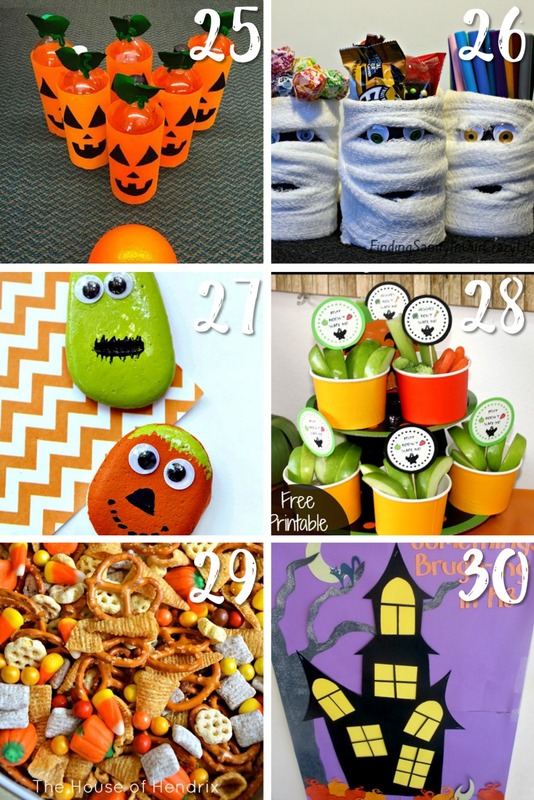 Try them with your students today, and have a fabulous fall! 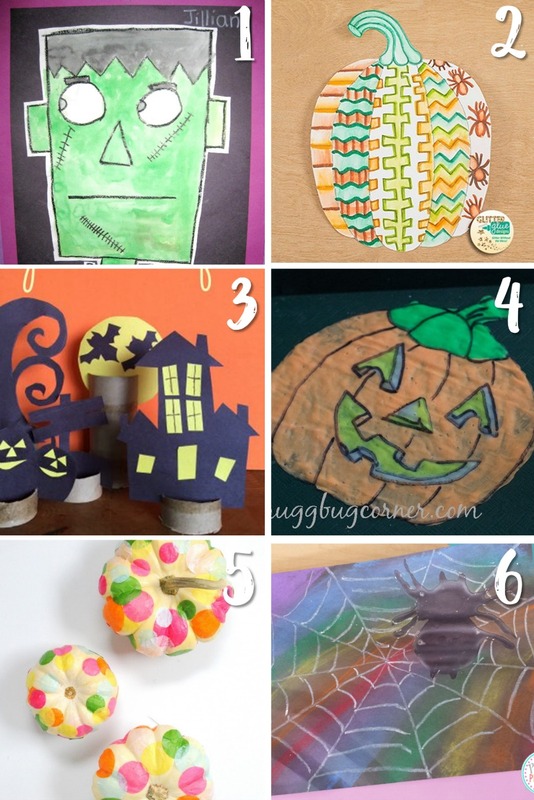 More Fall Activities for Kids! 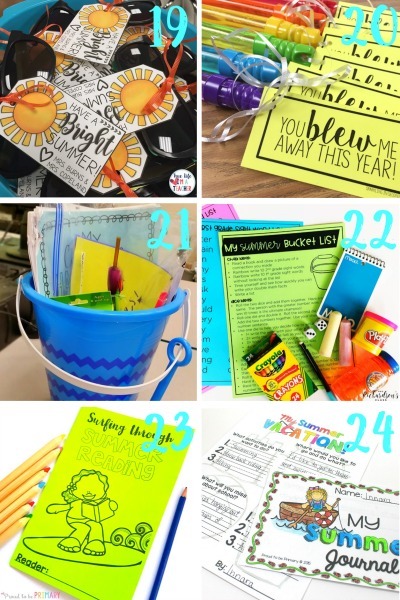 A post of Mother’s Day celebration ideas for the classroom. 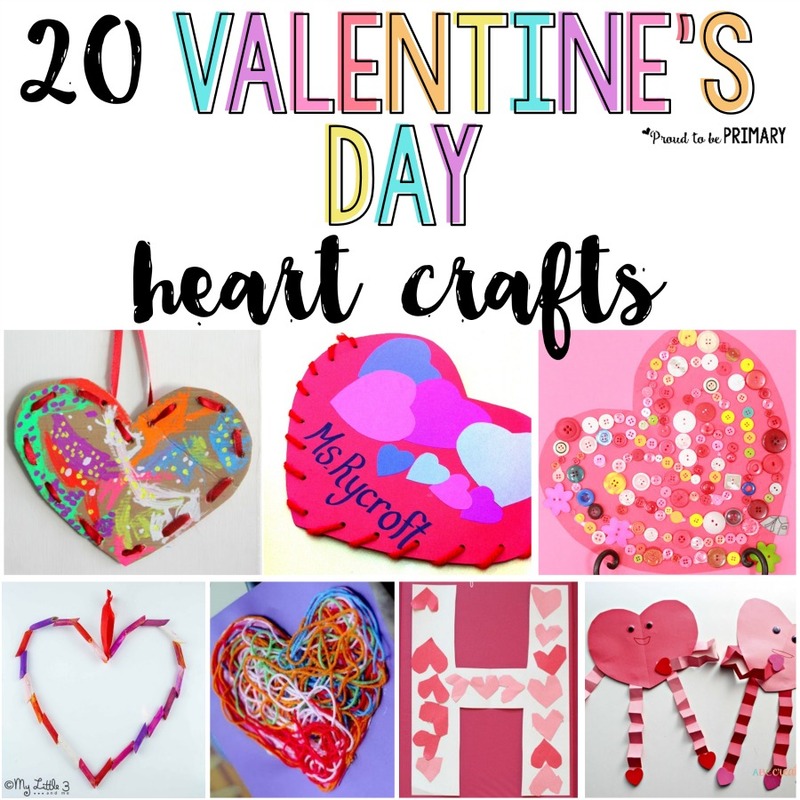 A few of the 10+ ideas included are make a hand-made gift or have a special event for moms. 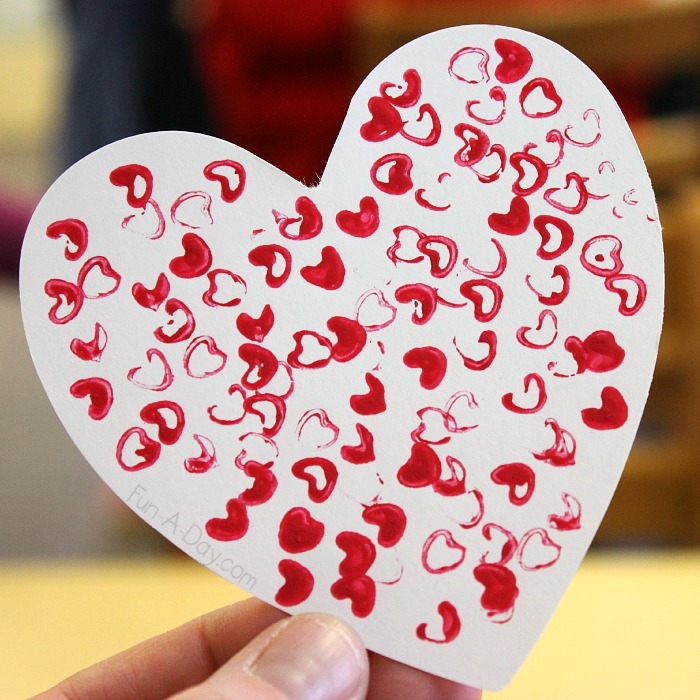 We all know how much moms deserve, and the mothers of our students are no exception. 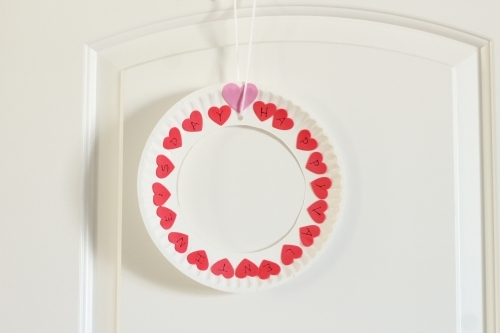 They deserve a good Mother’s Day surprise that will make them smile. We can make that happen. 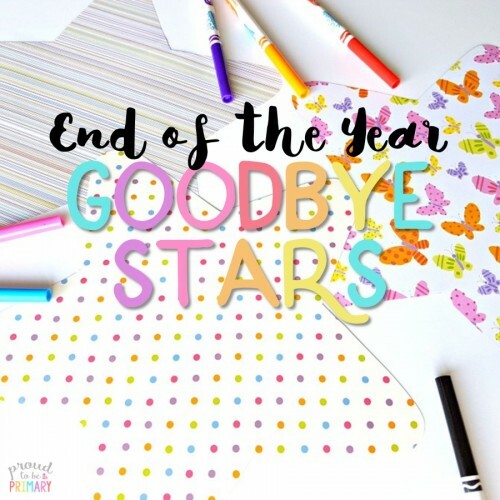 How will you honor them? 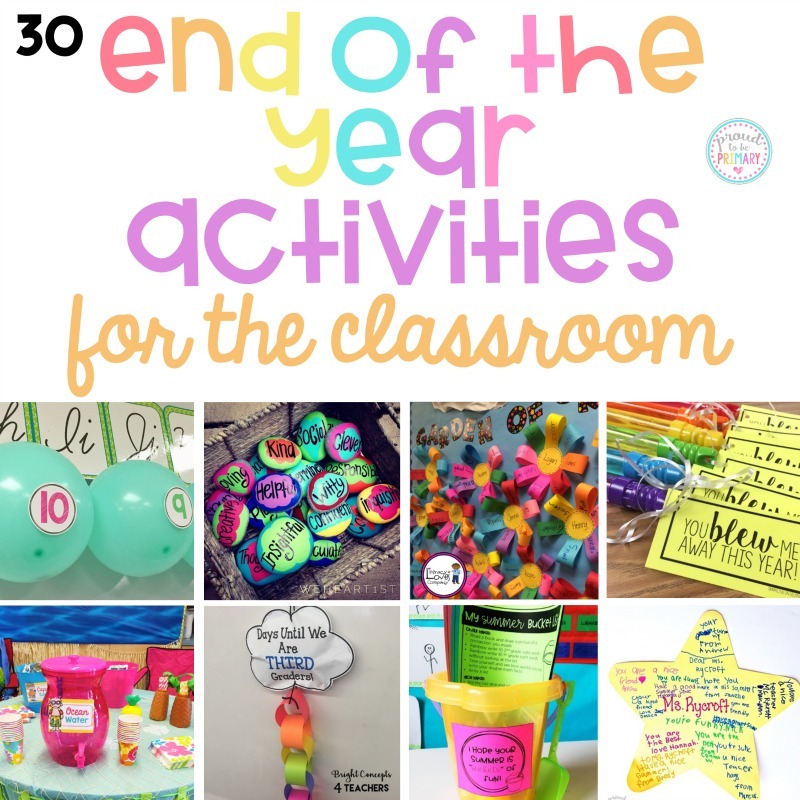 Will you have an activity or a party in your classroom, inviting them to attend? 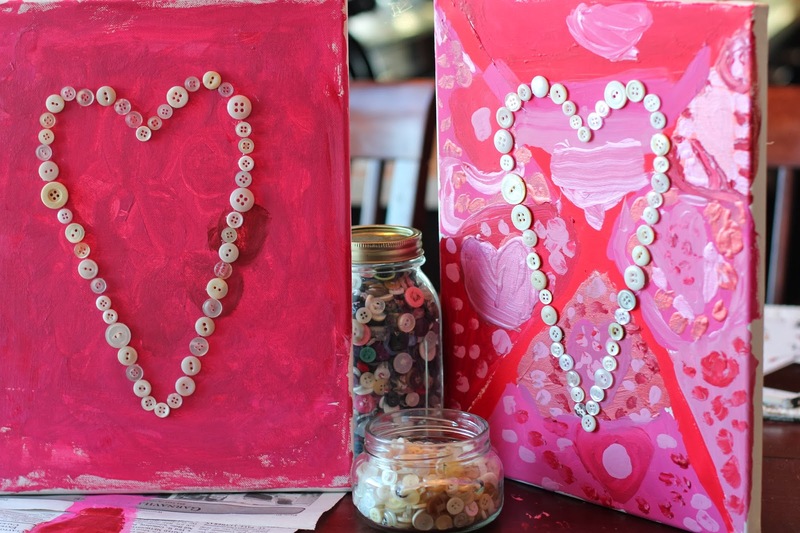 Will you have your students create something in the classroom to take home to give to their mothers? 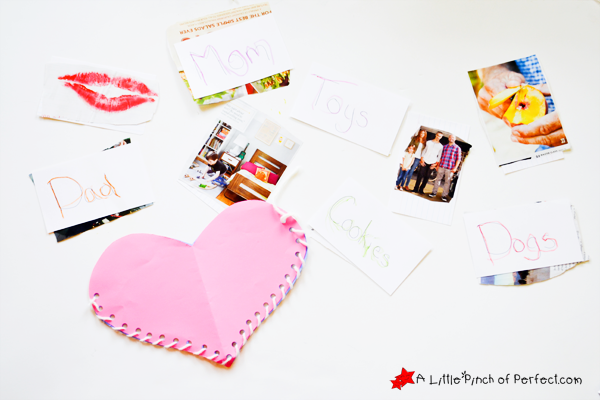 I’ve gathered up some Mother’s Day celebration ideas for school settings that I think you, your students, and moms will absolutely LOVE and cherish. 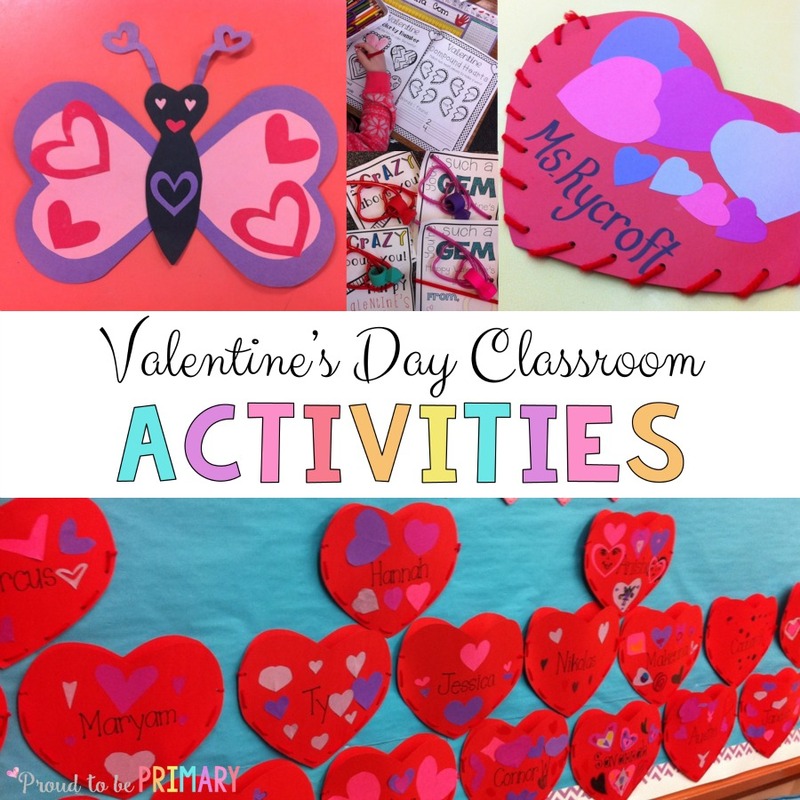 Hosting a fun event to honor the women in students’ lives is one way to bring community into your classroom. 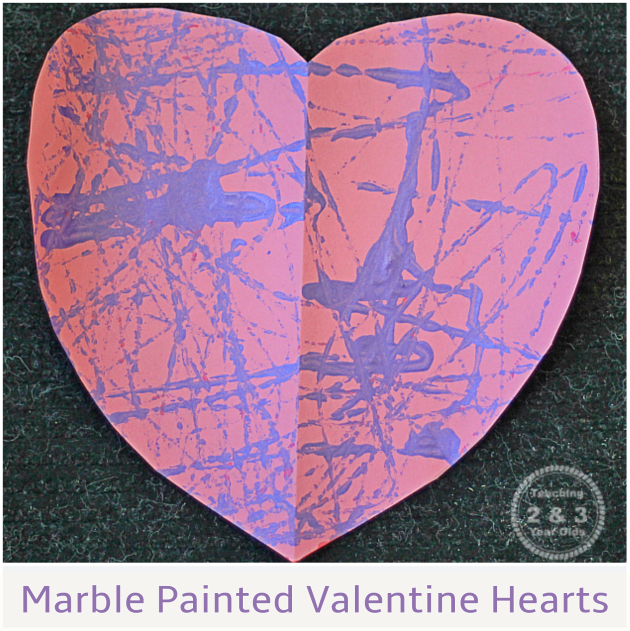 It also shows how much you and your students appreciate what they do. 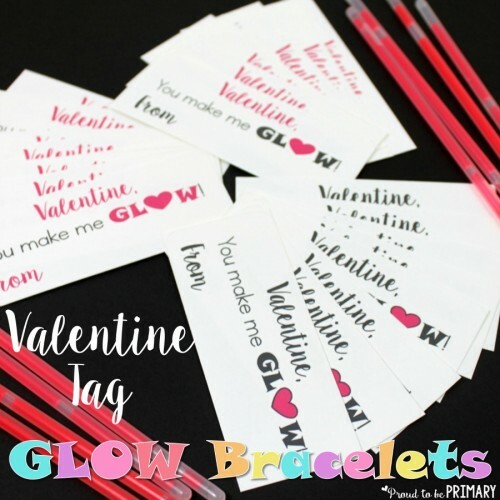 Ask them to bring in their mothers, grandmothers, or any other female in their lives who serves as a role model to them, for a special invite only activity. 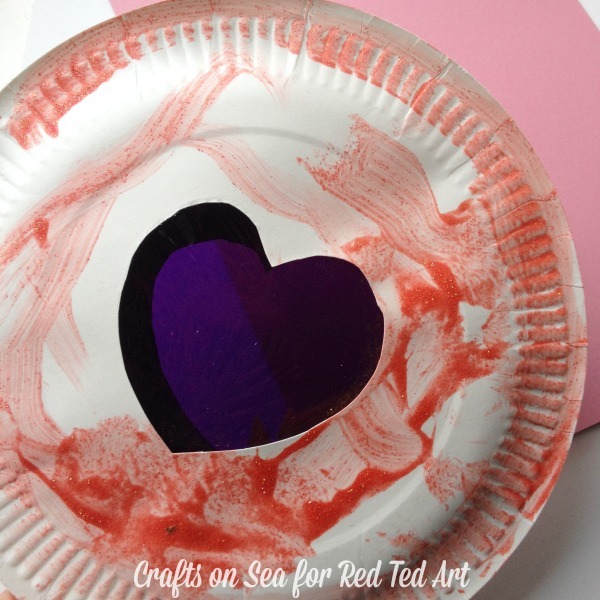 A Tea – I’ve heard of some teachers putting together a “Tea-riffic Moms” event. 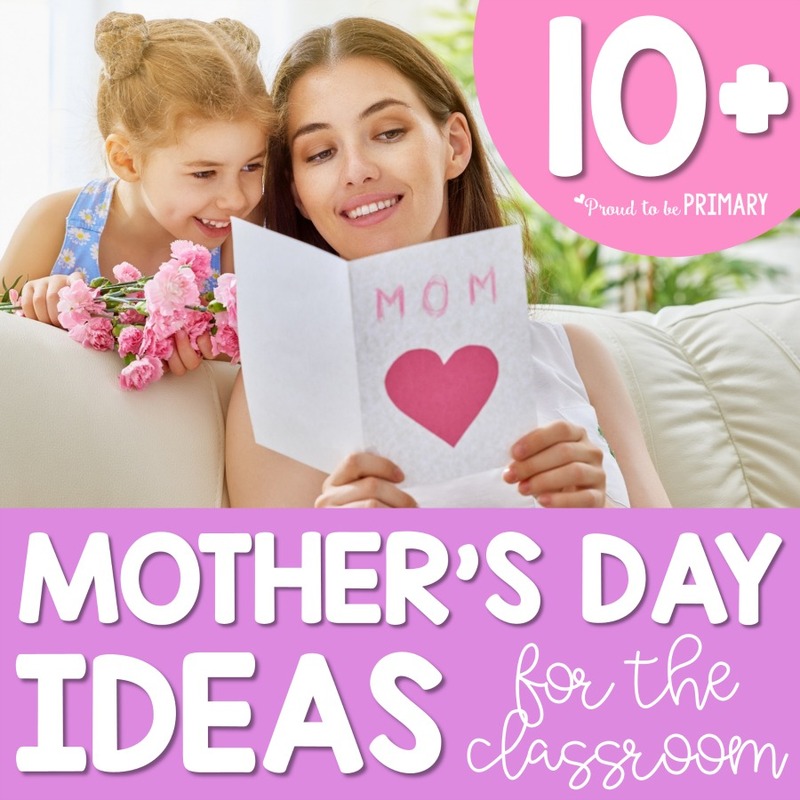 Have a tea party in which the moms are invited to come to the classroom to have tea and treats. 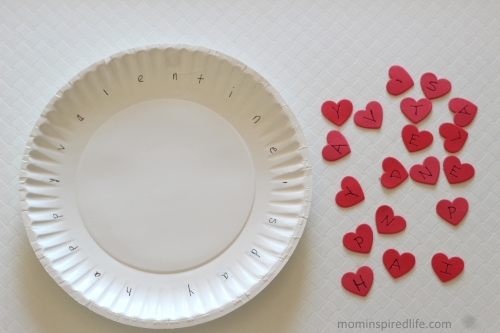 Children can make placemats for their moms, and set a place setting with napkins, plates, and cups. 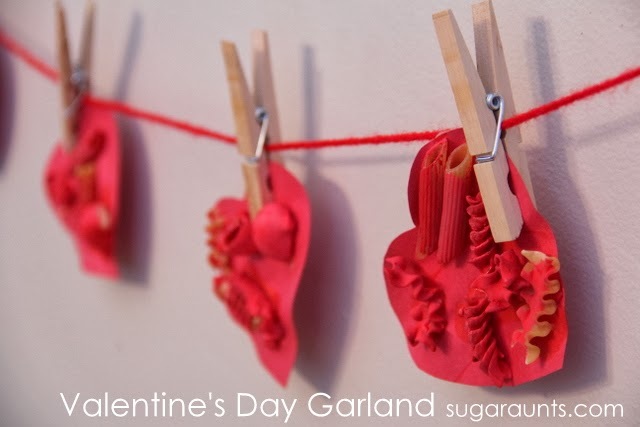 Kids create little snacks such as cheese and crackers, cream cheese on small bagels, or Teddy Grahams dipped in icing. 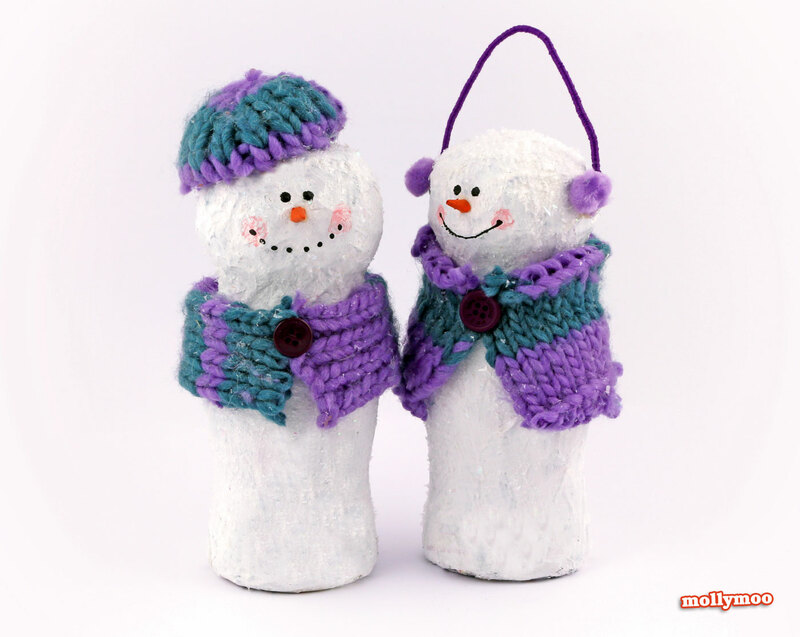 They act as hosts and serve their moms by pouring juice or water into small cups, and bring them a serving of snacks. 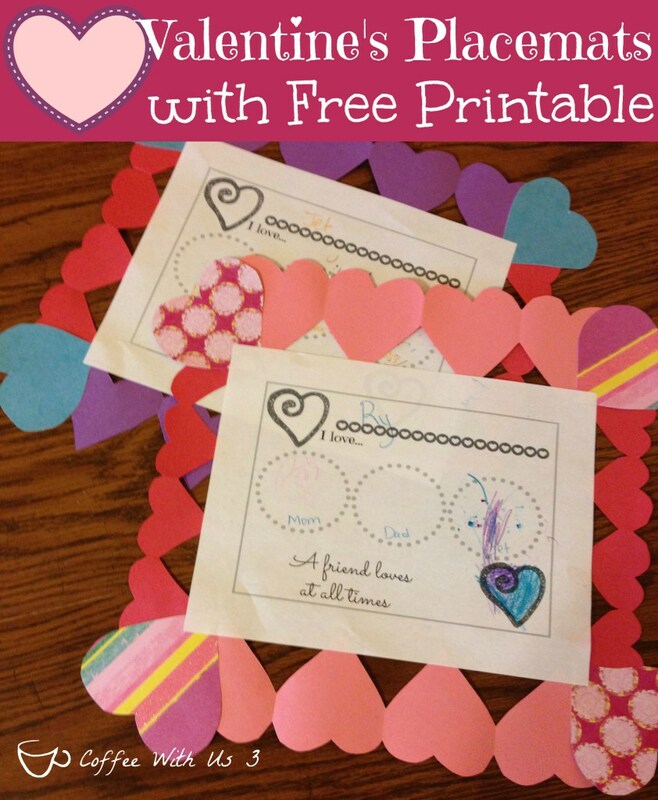 They can present their moms with a card, read to them aloud and give them a hug. 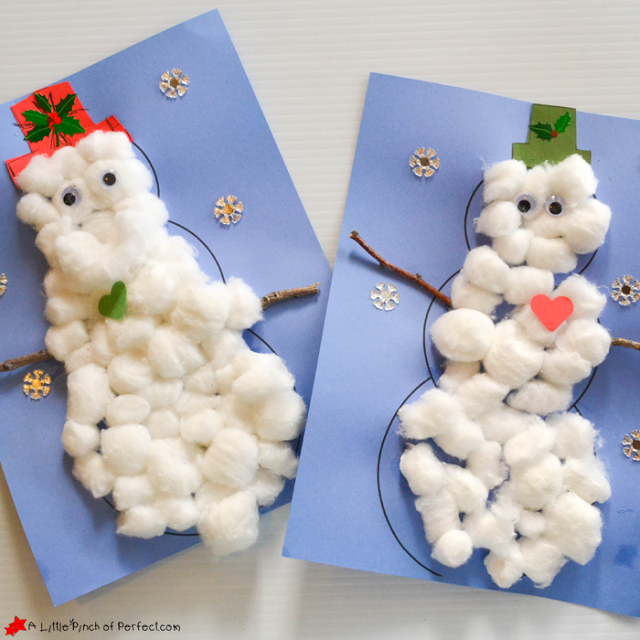 Put on a Performance – Kids are creative. Let them make up a play in which they all have a special part. 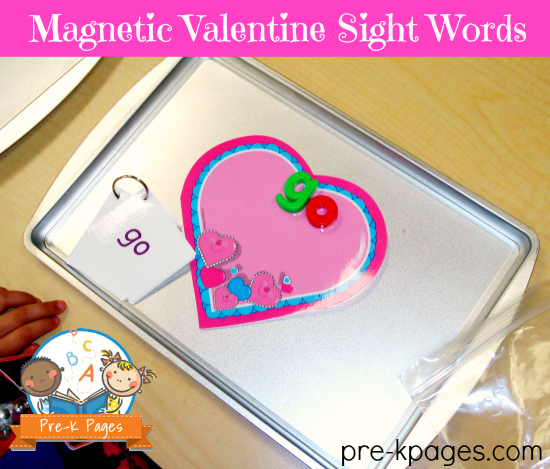 It can be about mothers, or about a recent book that has been read to the class, or something else. 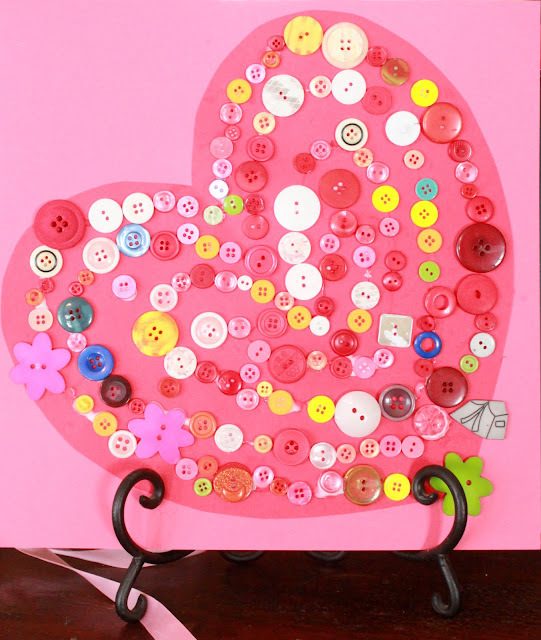 Project Display – Invite mothers into the classroom to view a spring craft or project display. 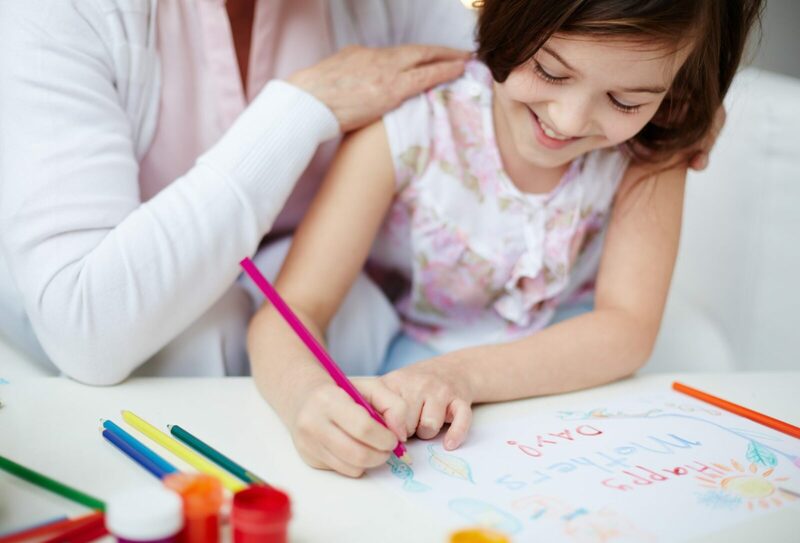 Make it special by allowing children to present their project to their moms as a gift. 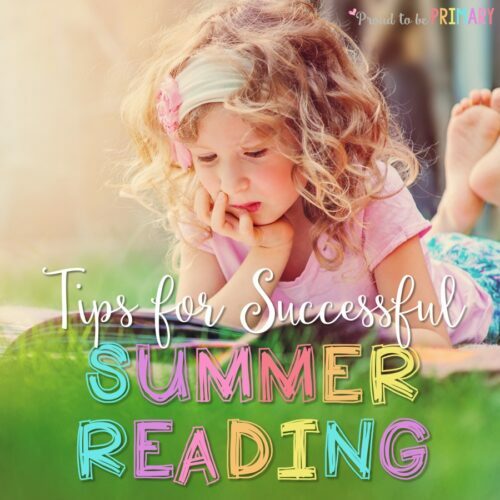 Reading Hour – Pull lots of books about mothers, grandmothers, aunts, sisters, and female biographies from your school’s library, and set up a special reading time in which the women in your students’ lives can sit and enjoy reading together. 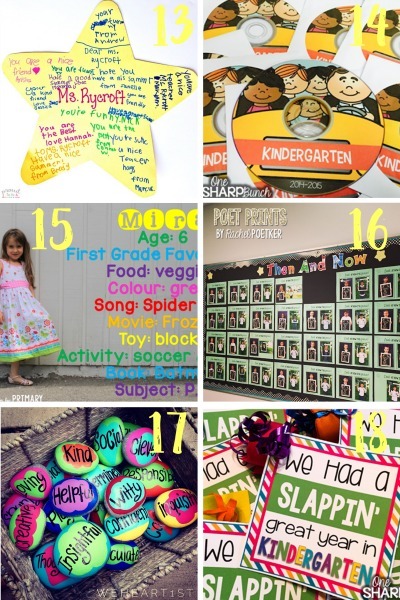 Bulletin Board – Create a visibly prominent bulletin board where moms will be most likely to see it. 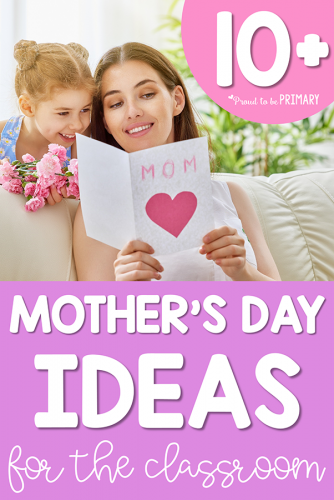 Decorate it with sentiments, hand-drawn pictures, photographs, or other things your kids have done to commemorate their moms. 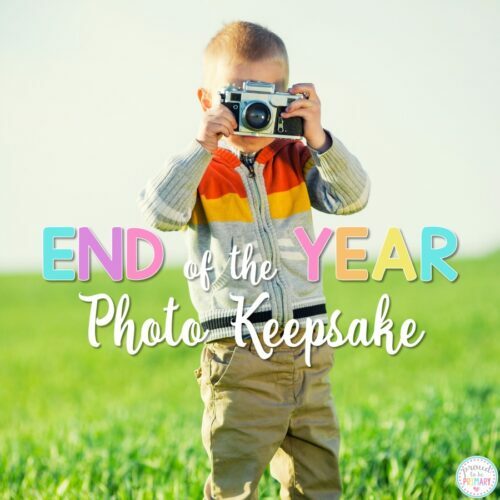 Instruct kids to tell their moms to take a look at it at drop-off or pick-up time, and even send home a little note or shoot them an email so that they won’t miss it. If you can’t host an event, that’s okay. It’s not required, of course, and some teachers, schools or parents just aren’t able to make events happen like they’d wish. 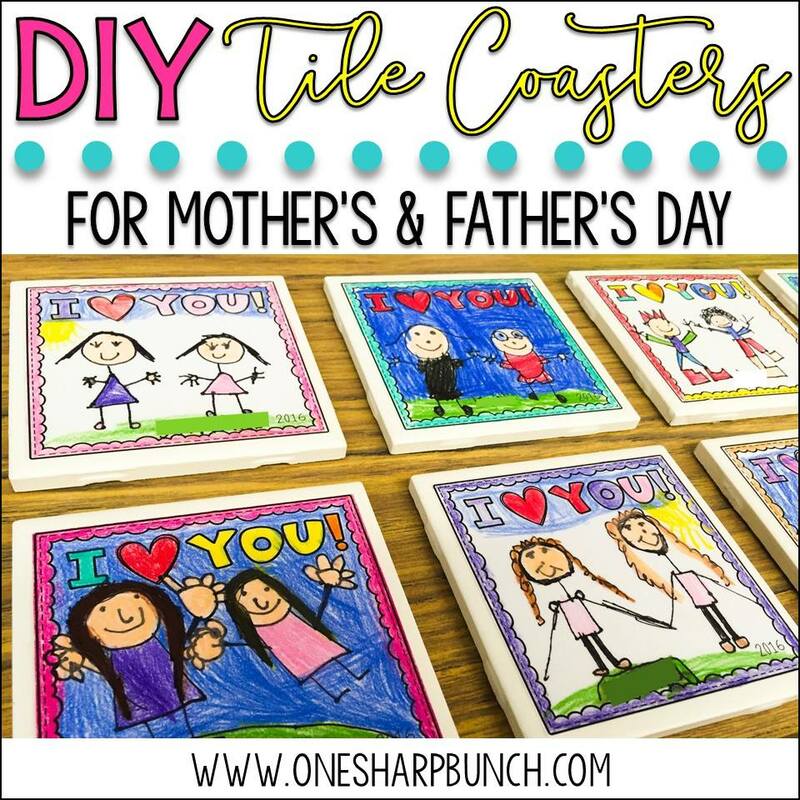 You can still honor the mother figures in your students’ lives, and provide a way for the kids to thank them for their love and support, by helping them create something meaningful to give as a gift. 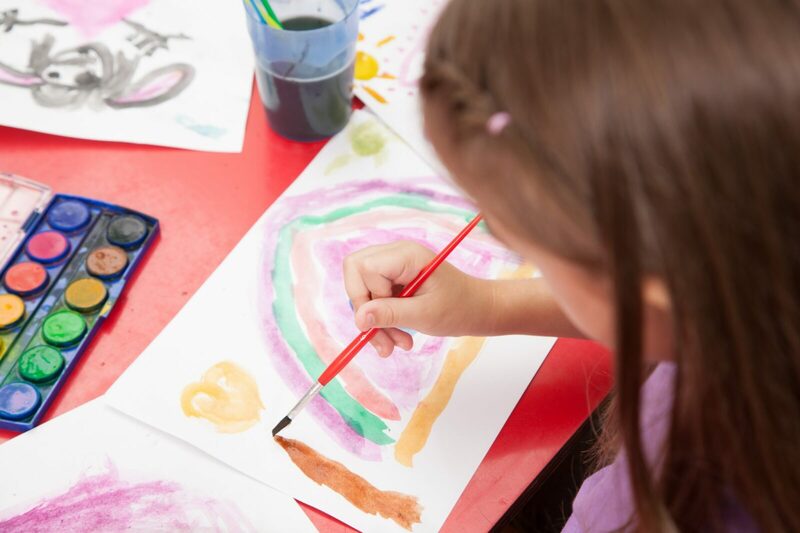 Draw a Picture of Mom – Give students paint or crayons and let them decorate a piece of paper with some artwork. 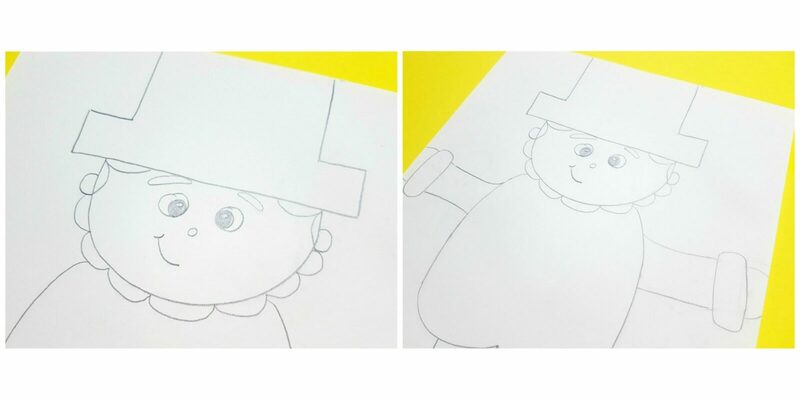 Have them draw their mothers with a directed drawing and write a story about their mom to go with it. 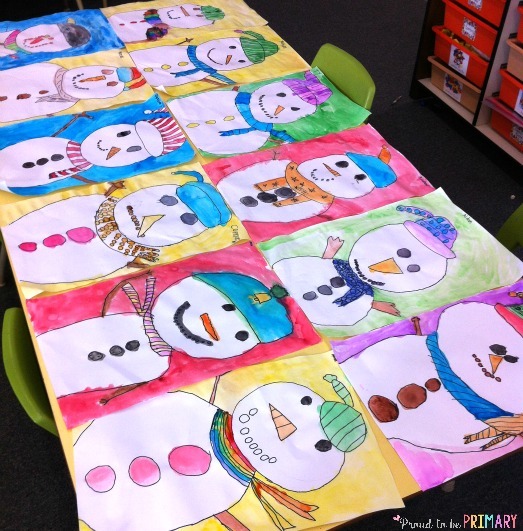 When they’re finished, take the students’ artwork and frame it with a piece of construction paper and embellish it. 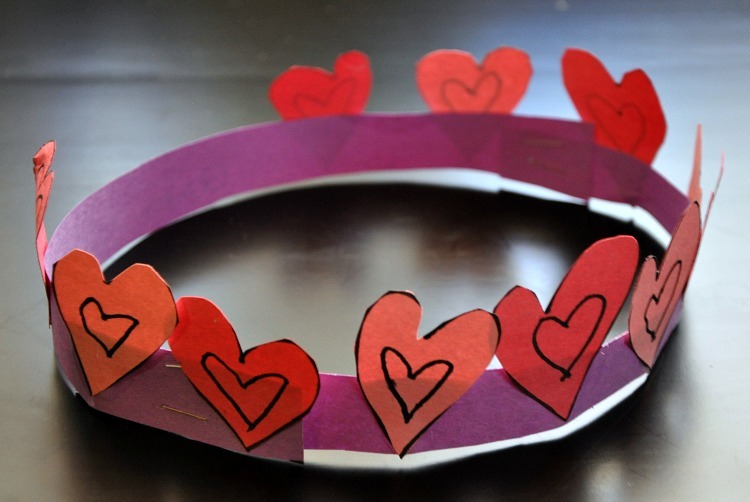 Have students write “Happy Mother’s Day” on it. 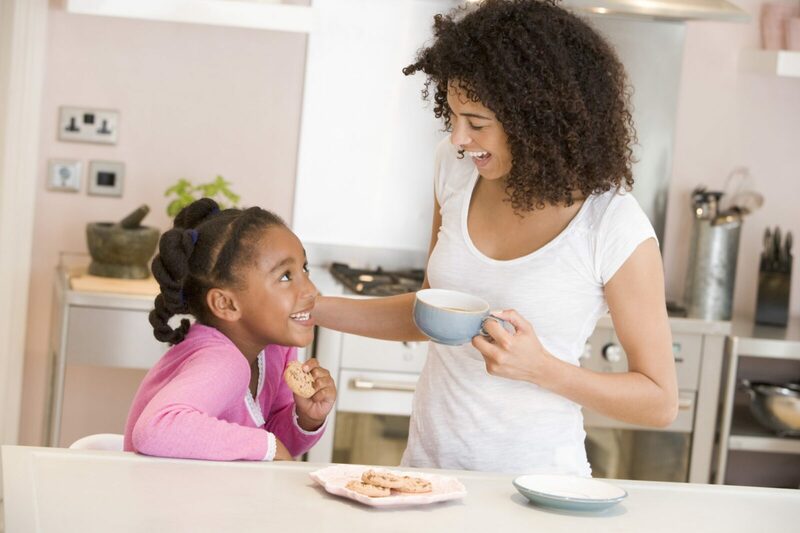 Write a Story/Free Writing – Give the students a prompt and have them write a story about their moms. 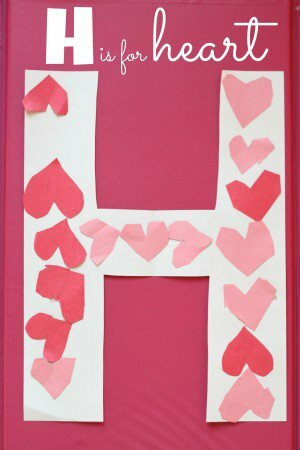 Mothers will love a tribute to them in their child’s own writing. 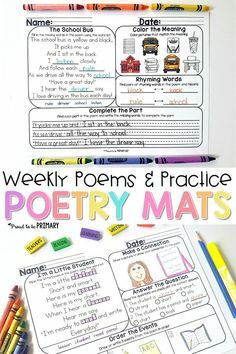 If you need a quick and easy prompt – I have some in the May Writing Mats pack. 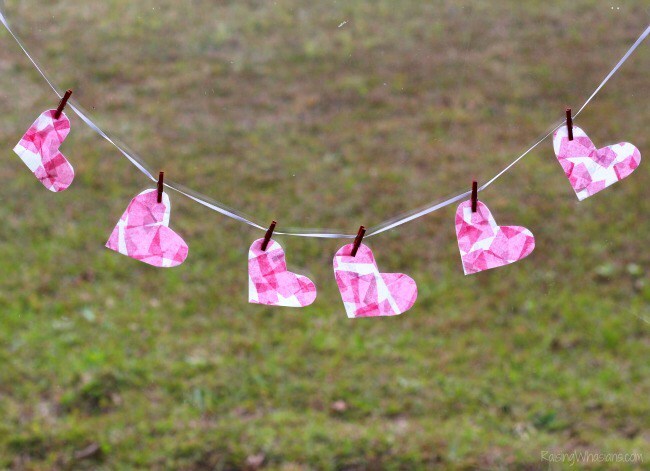 Write a Poem – Are you teaching poetry writing this month? 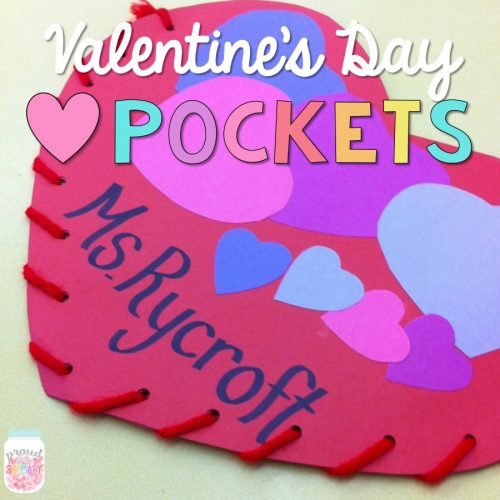 Have your students write a poem about their moms. Poems take thought and will be coveted for years and years. 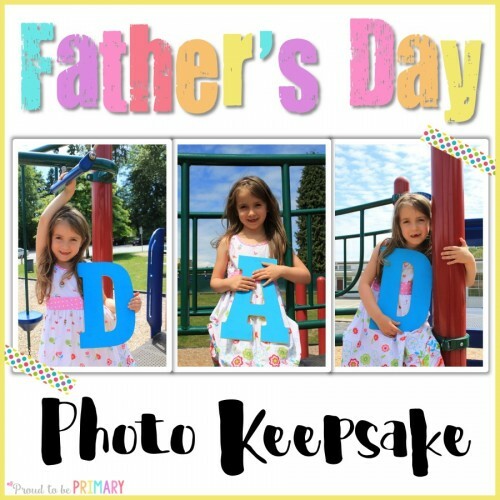 Take a Photo – Snap a photo of a child posing with their hands folded and smiling at the camera. Even better, have them hold their fingers in the shape of a heart and blow a kiss toward the camera. 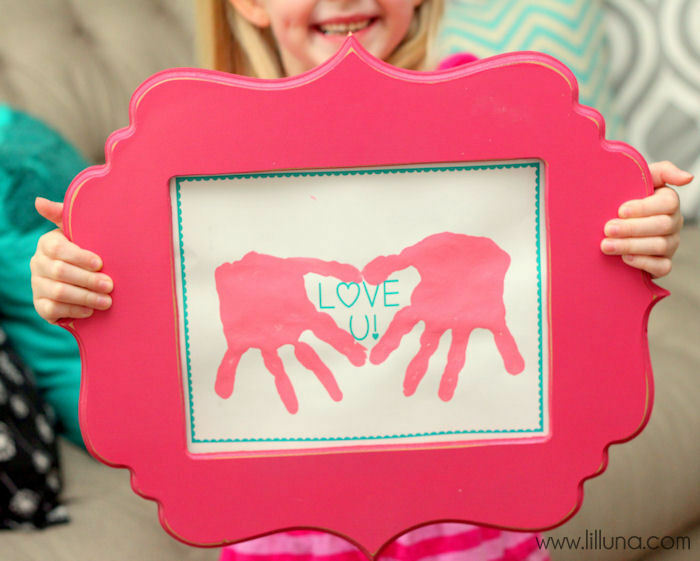 Print them out and have kids decorate a frame for their picture with the words “I love you, Mom!” for the perfect Mother’s Day keepsake. 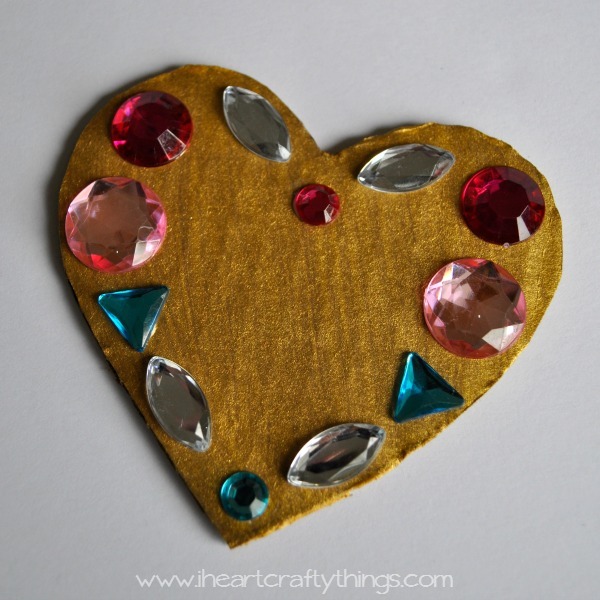 Make a Craft – Finished a craft lately for Spring? 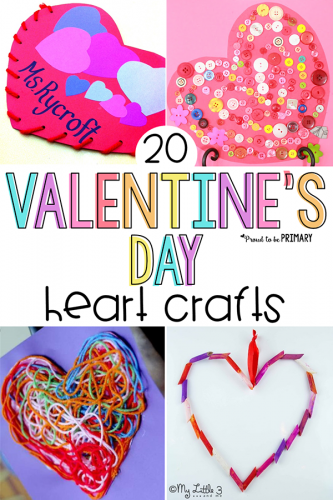 If not there are numerous craft tutorials available. Find one you like and create it with your students. 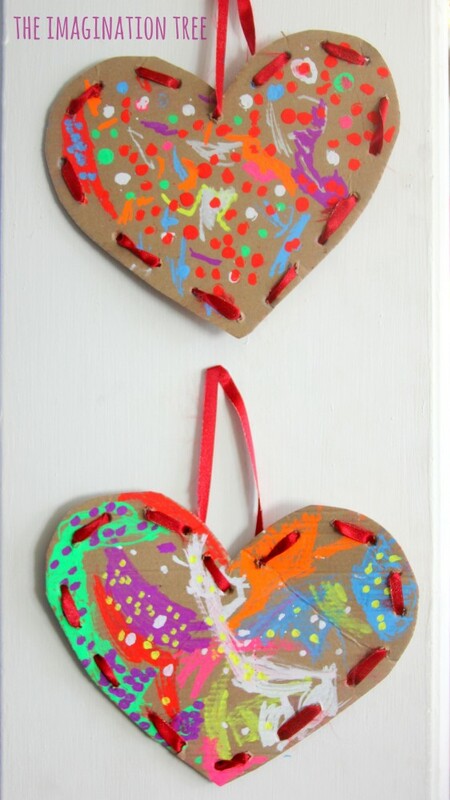 Let them take it home to give to their mother on Mother’s Day. 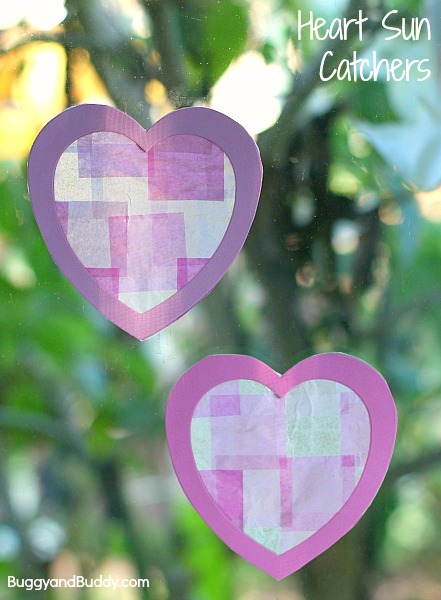 Make a Card – Inspire students to create a card with a thoughtful message to mom. 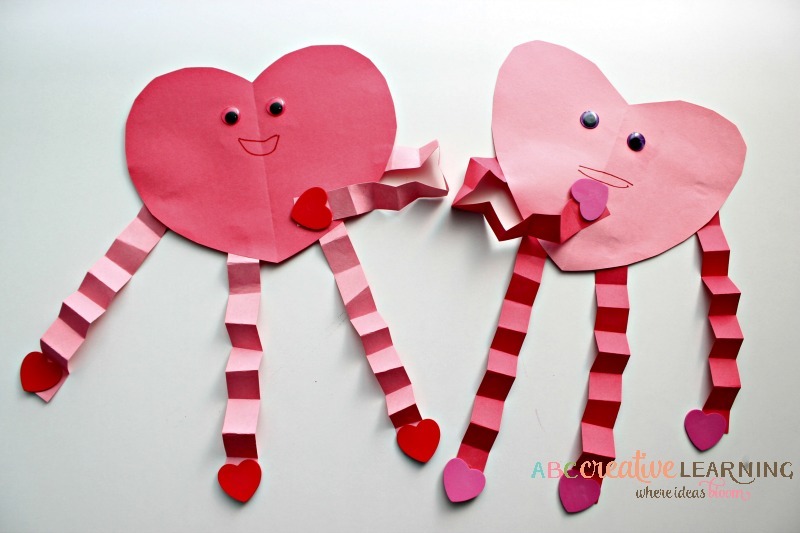 Provide a sentence or two for them to copy and let them get creative with paper and glue. 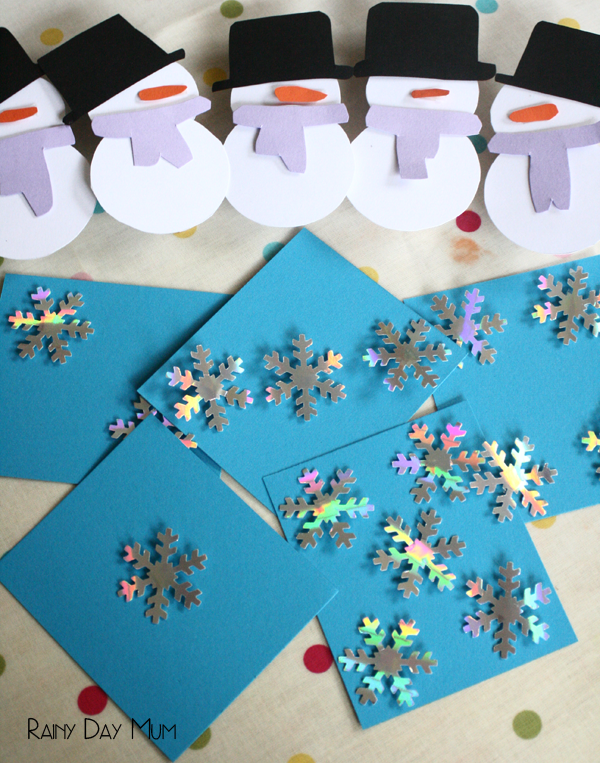 Give them time to write, draw and decorate their cards to take home for their mothers. 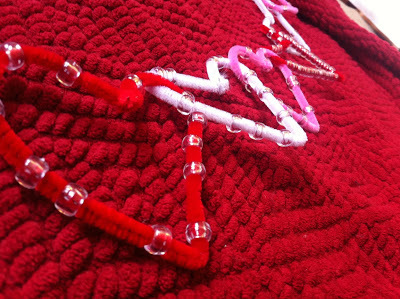 Any effort made to show appreciation and love will go a long way in making Mother’s Day special. 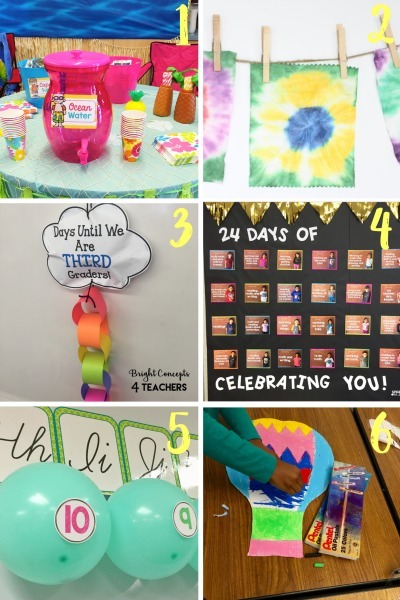 If you try any of these Mother’s Day celebration ideas for the classroom, please leave a comment below! 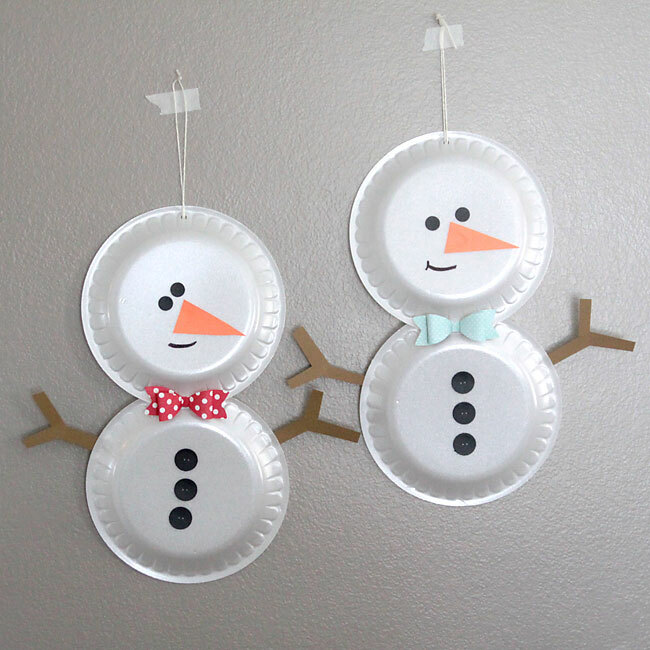 For a sweet DIY coaster idea, head over to One Sharp Bunch! 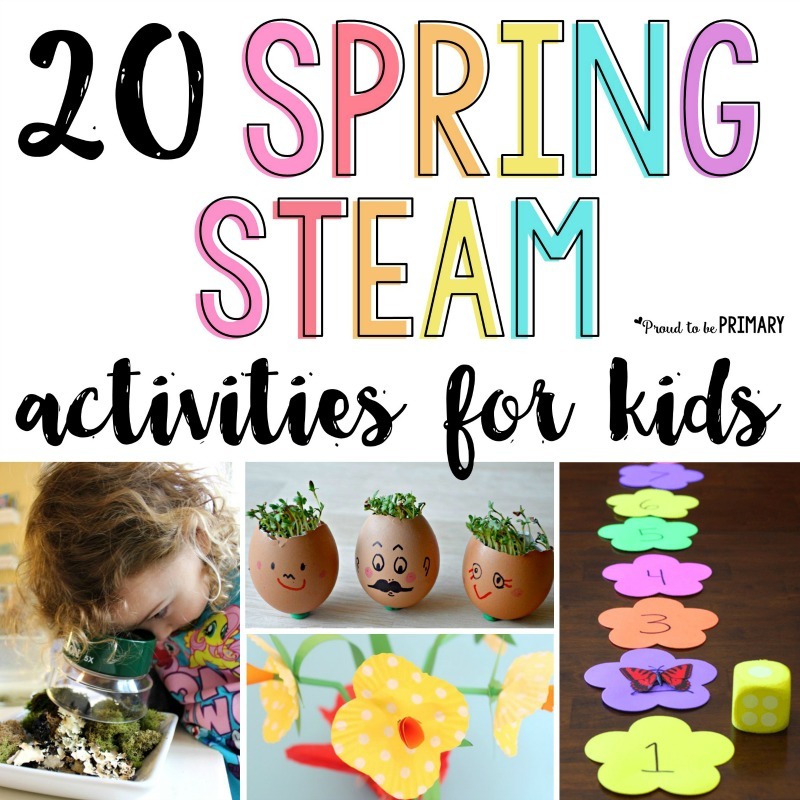 20 Spring Activities for Kids: STEAM Into Spring! 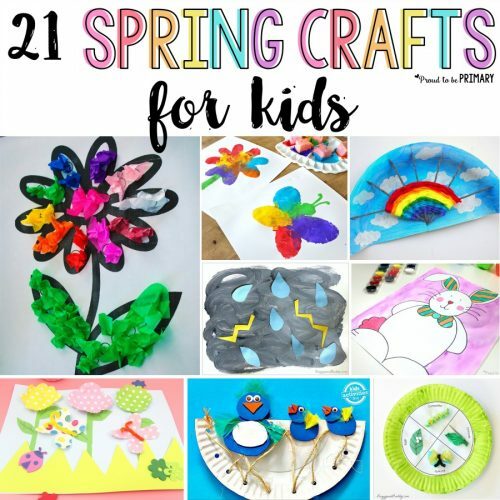 20 STEAM Spring activities for kids: Teach about flowers, butterflies, birds, and plants with arts & crafts, hands-on math and science, and more for spring. 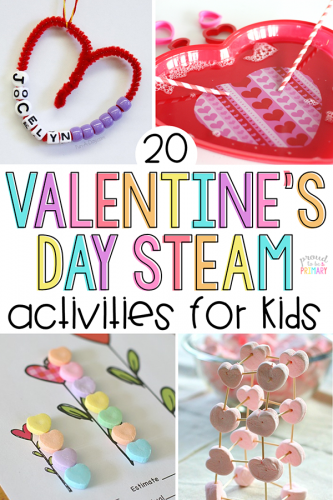 Spring is a great time to start fresh with new STEAM projects and activities. 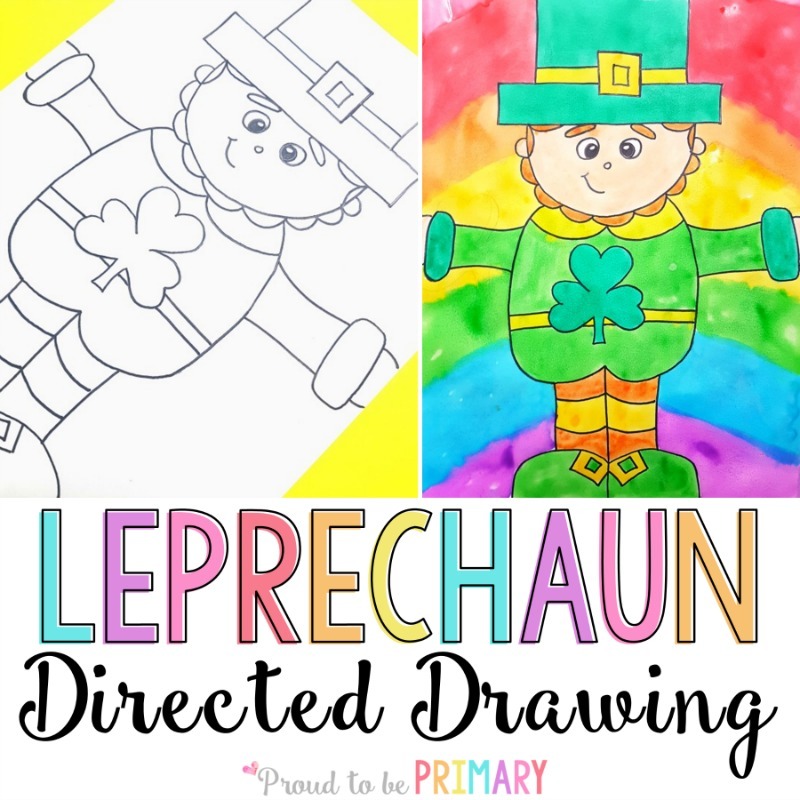 Spring is just the thing our classrooms need – bright cheery imagery, warmer weather, and rainbows! 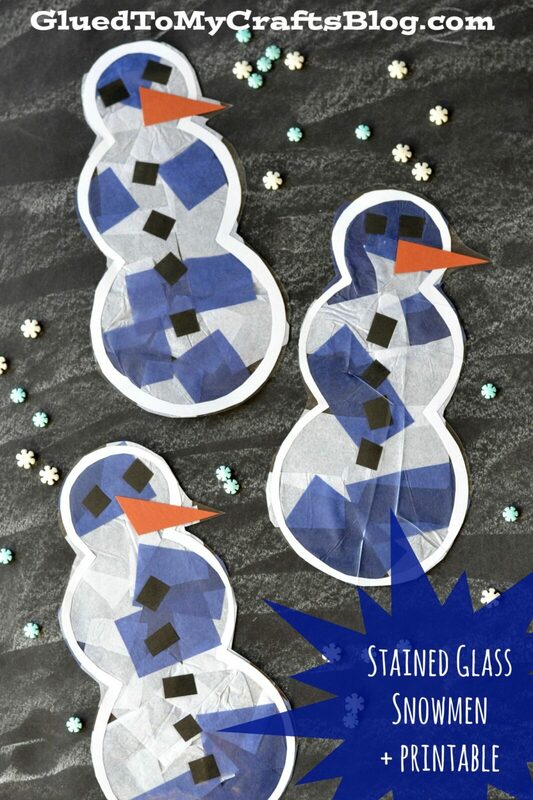 You can add flowers and birds into your arts and crafts lessons. 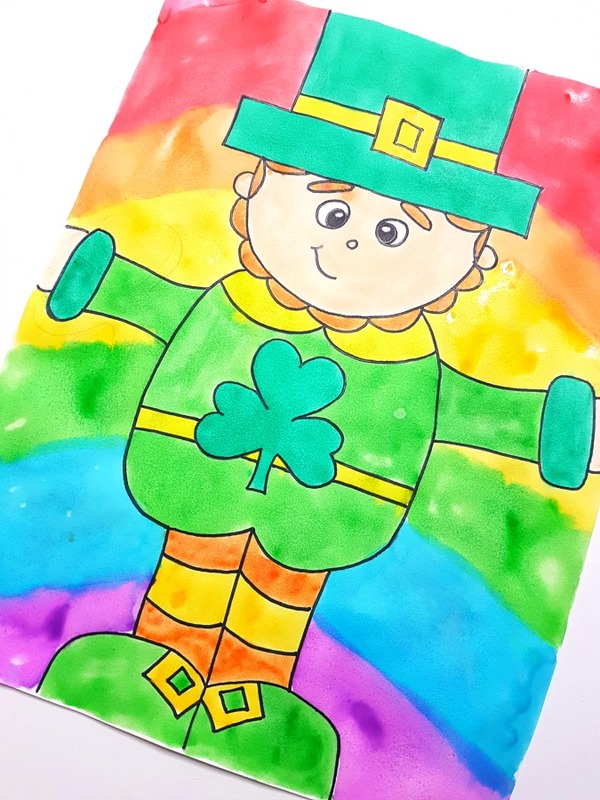 Study the changes in spring and with the weather – especially rain and rainbows. You can even witness plants springing back to life and animals and bugs returning. 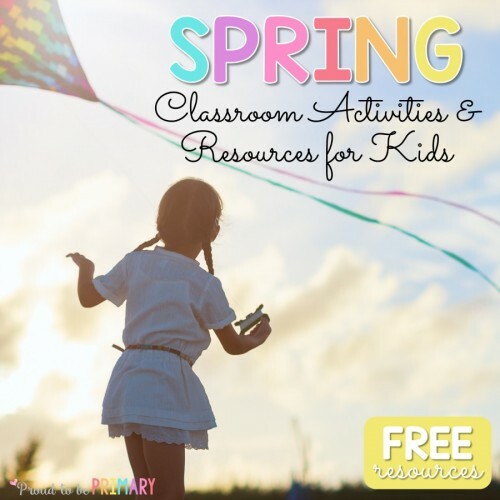 Spring encourages a bunch of new topics to for your class to study. 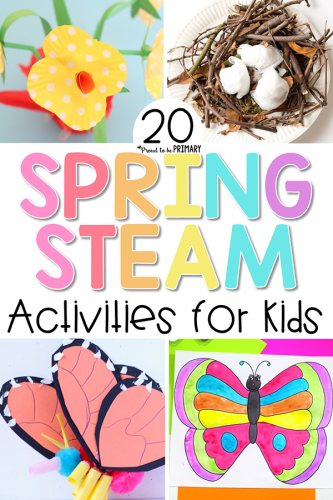 To get ready for the new season, I’ve gathered 22 spring STEAM activities for kids that are perfect for the primary classroom. 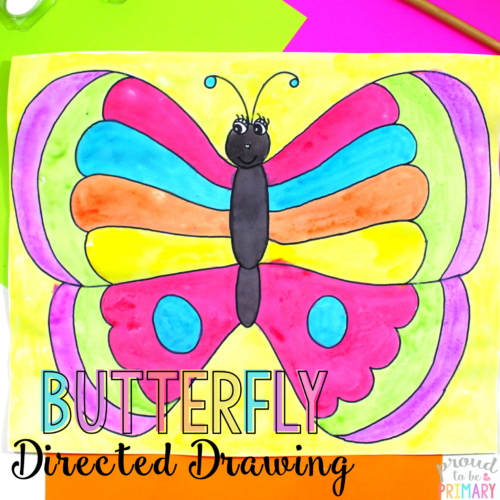 This butterfly directed drawing is the perfect art project for your class this spring. 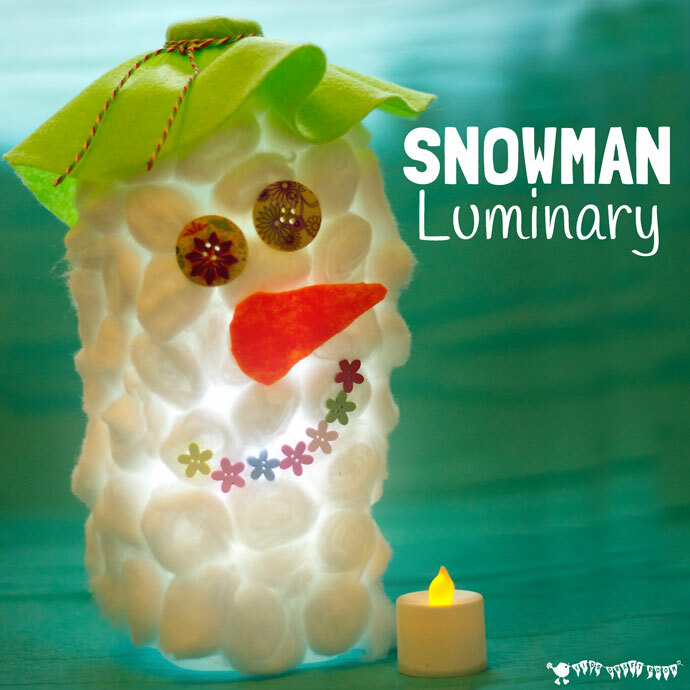 Not only does it work on following directions, students will get to explore their creativity as well as symmetry and asymmetry. 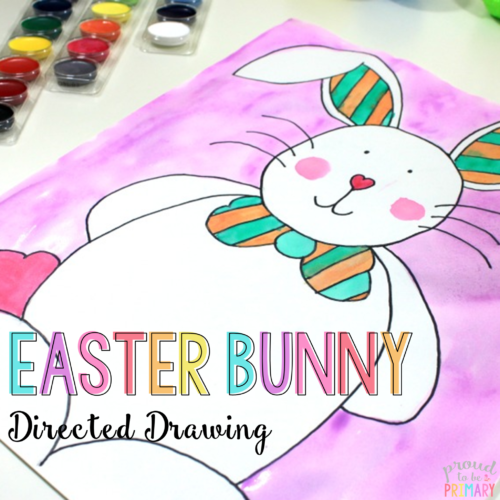 These free printable worksheets that are perfect for any spring lesson plan. 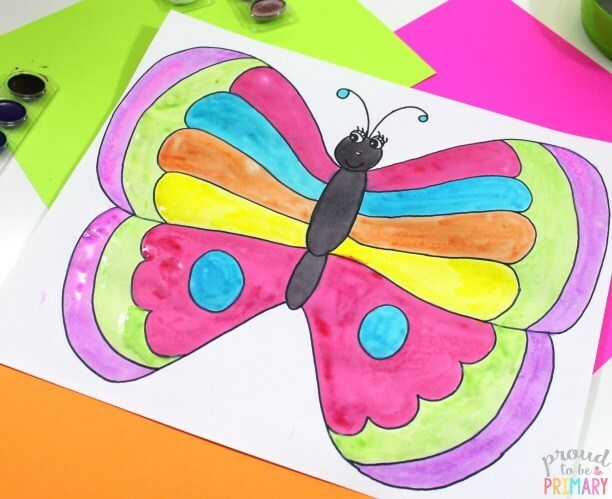 They cover parts of a caterpillar, life cycle of a frog, chickens, and butterflies. 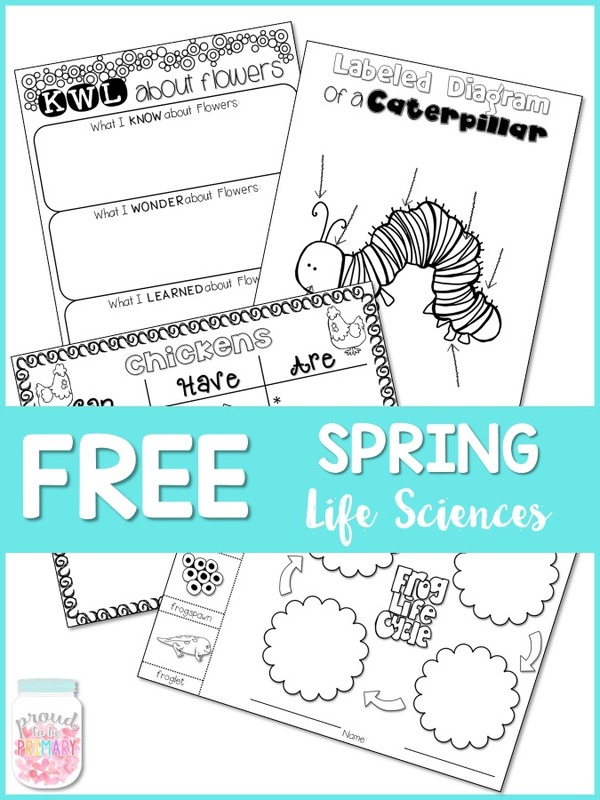 This is only a small sampling of what I have to offer in my full Spring Life Science Bundle. 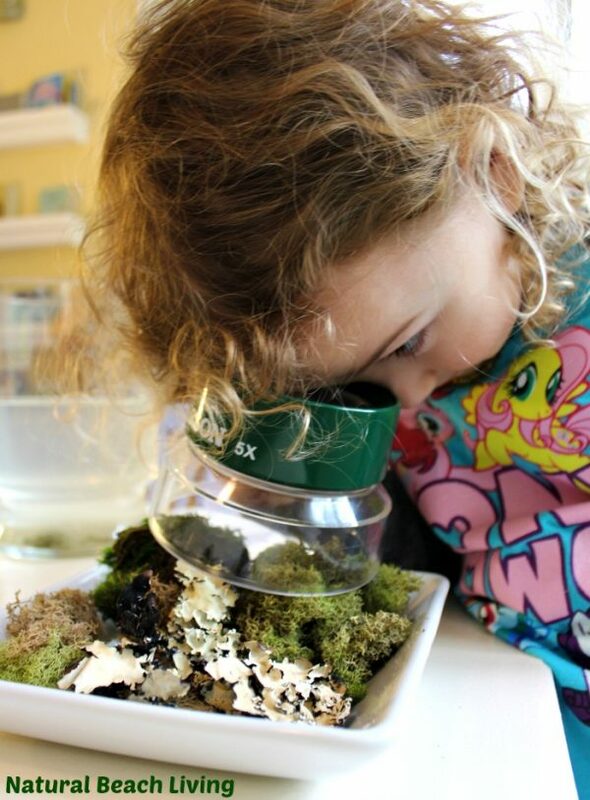 Spring is the perfect time to teach about life cycles. 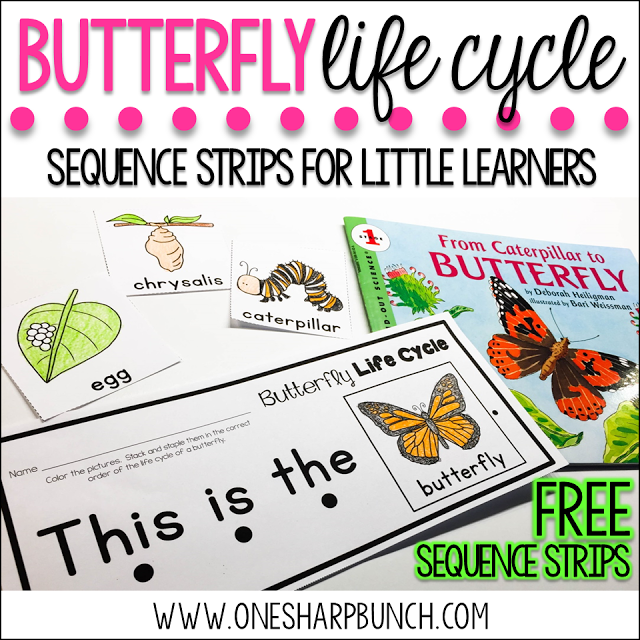 Learn about the butterfly life cycle with the helpful book suggestion, daily activity suggestions, and free butterfly life cycle sentence strips. With spring, comes butterflies! 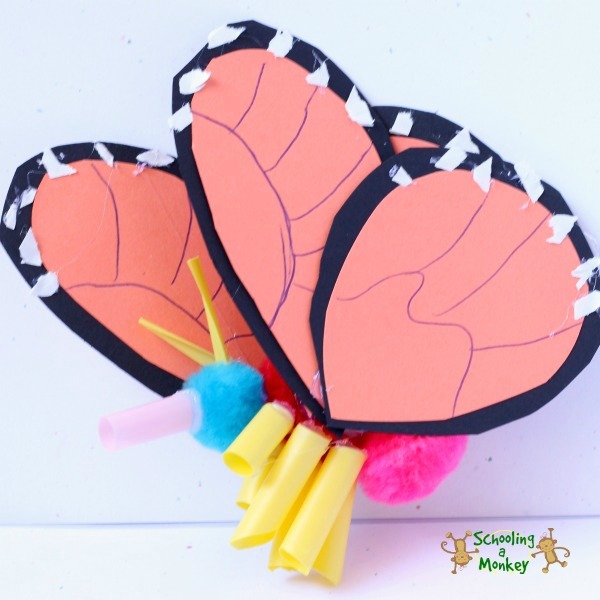 This 3D monarch butterfly design helps students study the different parts of a butterfly, while the actual construction of it helps reinforce what they’re learning. 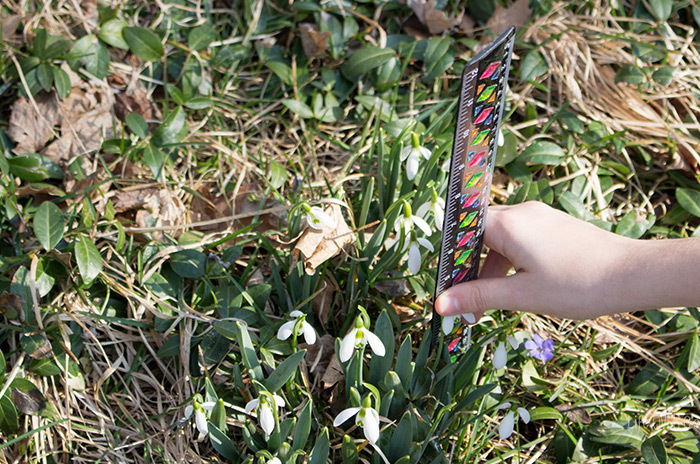 Break out the rulers and head outside where your students can measure the different growing flowers and other plants that start sprouting in spring. Repeat the process over a couple weeks so students can chart the plant growth. 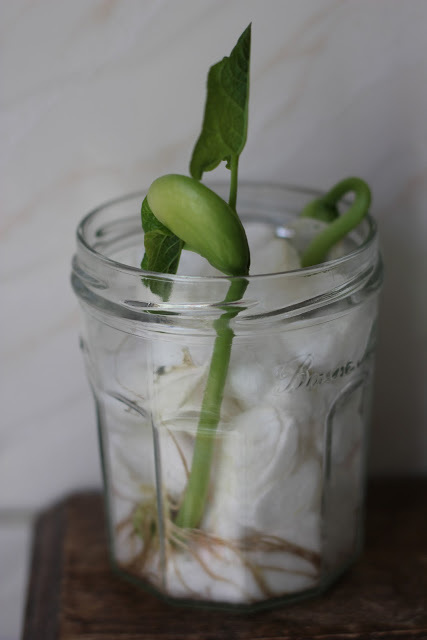 Your class can watch how a plant grows with this simple science experiment of growing beans on cotton balls. 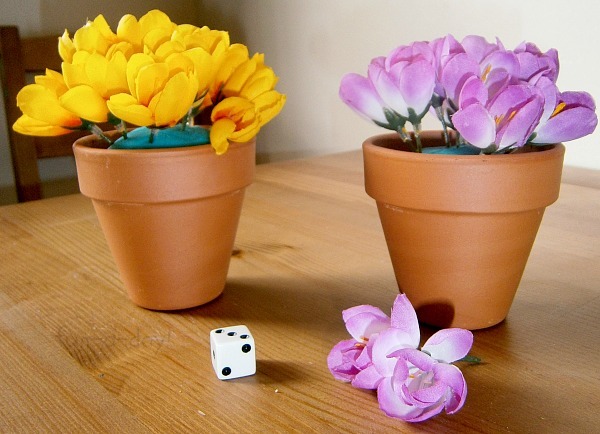 Growing plants indoors in the class is a great way to track plant growth. 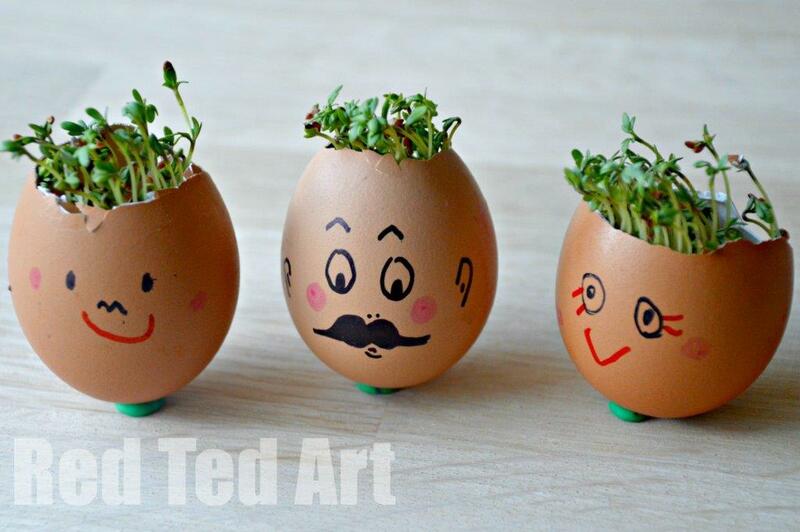 Growing cress heads is another simple plant growth activity you can do with your class, Red Ted Art also gives suggestions on different questions to have your students thinking about and find answers to. 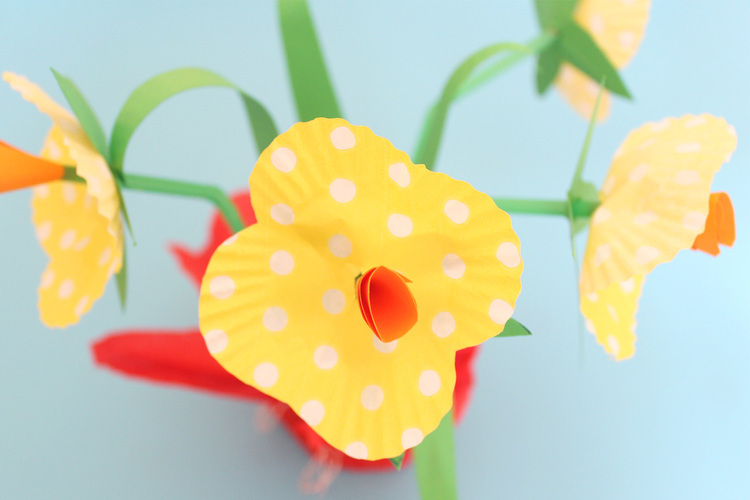 Creating daffodils is a bright and cheery spring craft for kids. 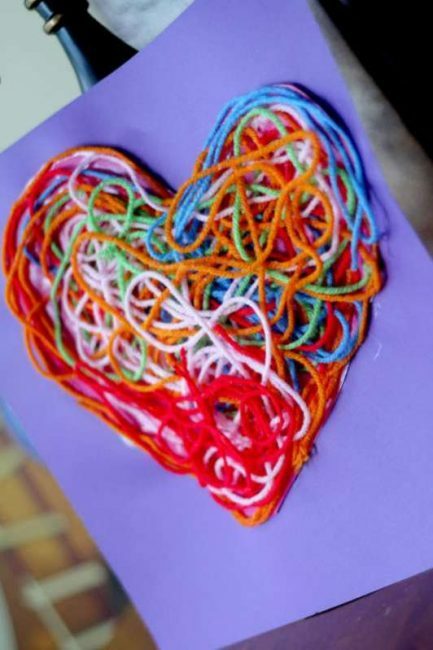 It allows students to express their creativity and put their engineering skills to good use. 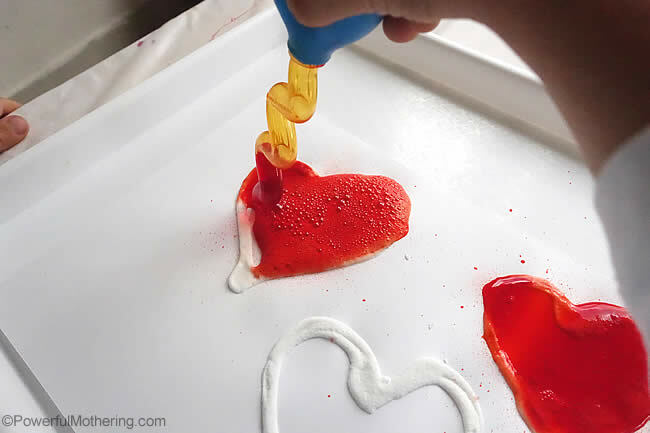 This fun color experiment will have your students using liquid watercolors in eyedroppers to dye coffee filter flowers. Watch the colors mix with one another and spark a conversation about saturation versus over-saturation. 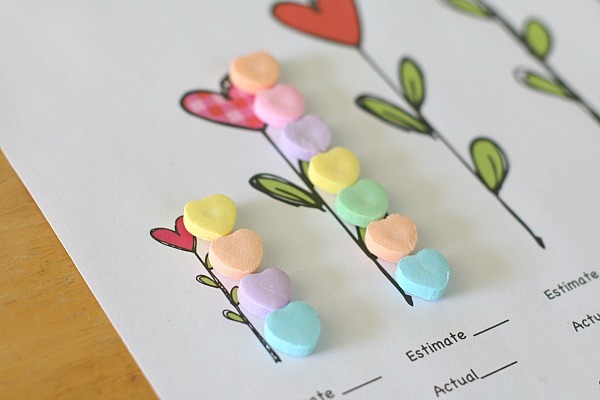 Here’s a spring-themed math activity that will help students identify numbers set in the style of a fun game. Students can play with a partner or in small groups. There are also different variants to the game offered. 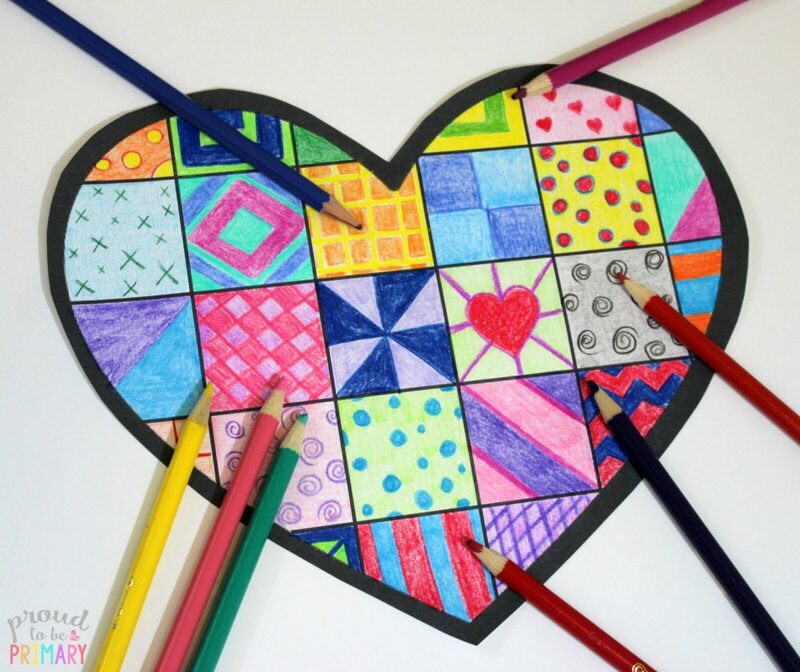 Everyone loves some fun color science! 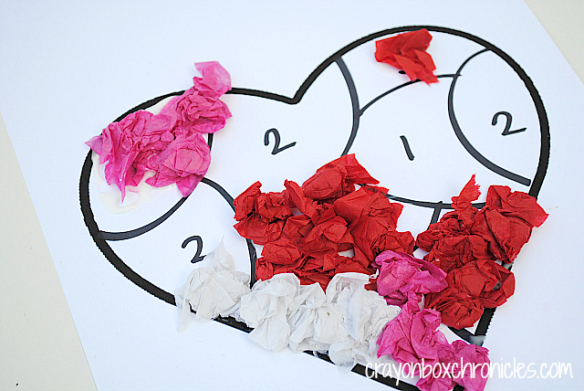 This dying carnations activity will be exciting for students all day long. They will be able to see the change in the flowers’ colors the entire day and it’s complete transformation the next morning. 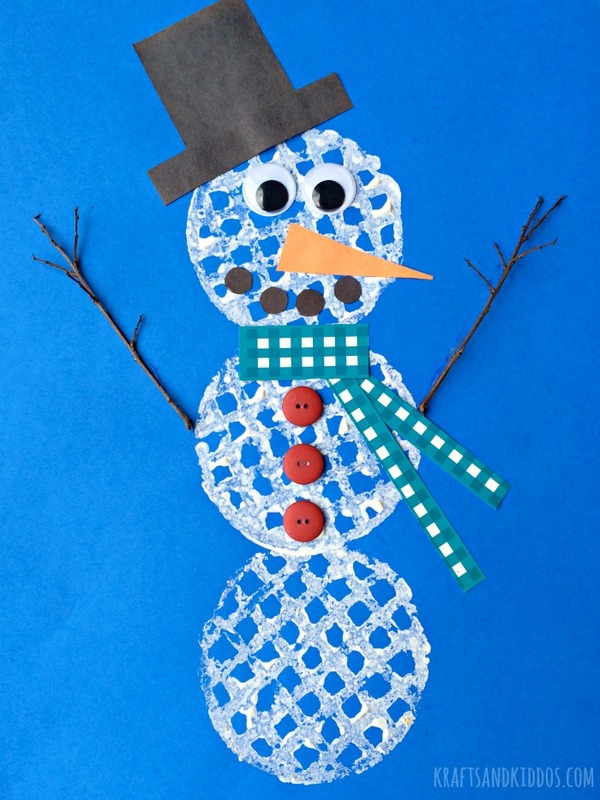 Using pipe cleaners and UV-sensitive beads, students get to make a little animal. 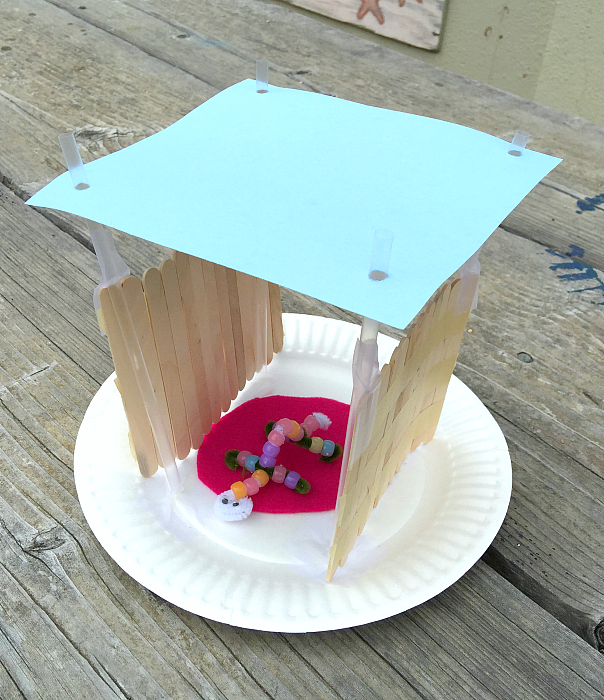 This science and engineering activity will challenge students to create a habitat that will protect their animal from the sun. 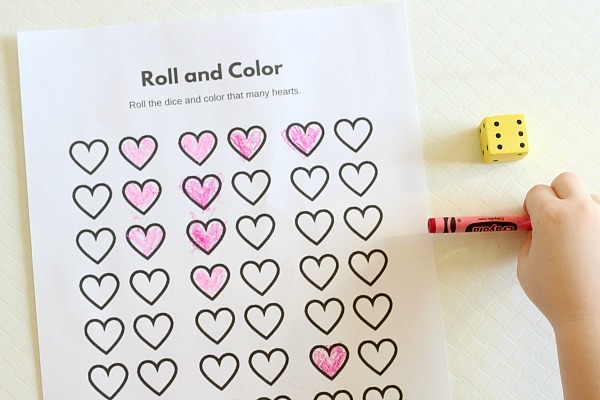 This two-part activity starts with a fun science experiment to see what each marker’s color is made of (what colors mix to make a new color). 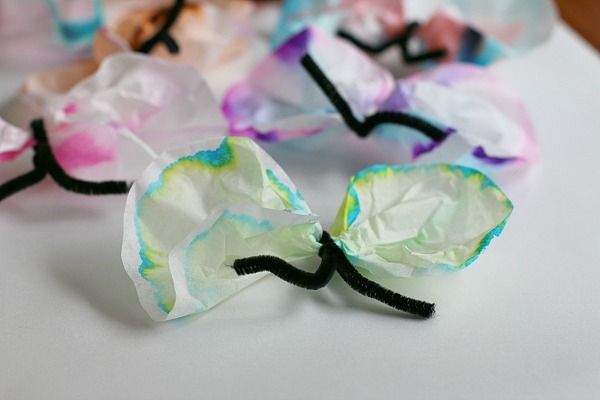 Once the coffee filters have dried, students make cute and colorful spring butterflies out of them. 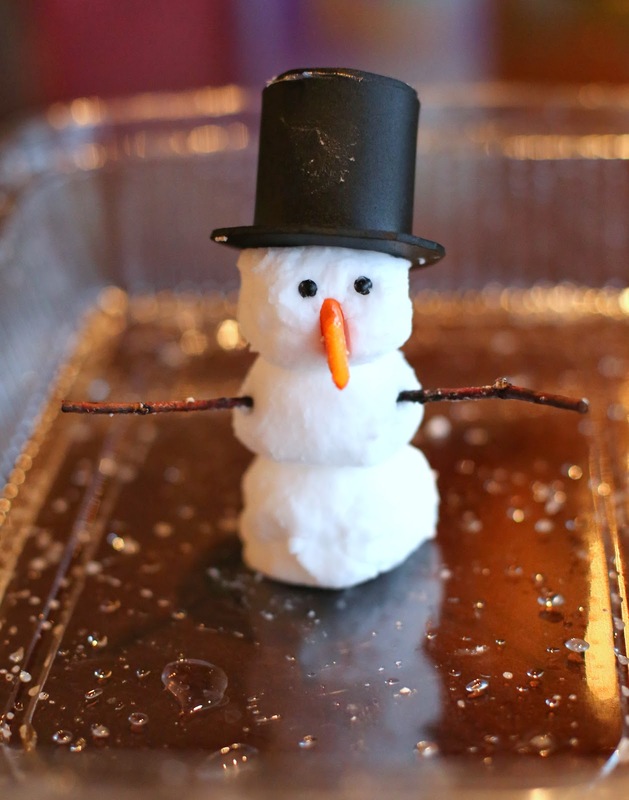 You don’t need to go to the pond for this activity, scoop up some water and bring the pond to your students! 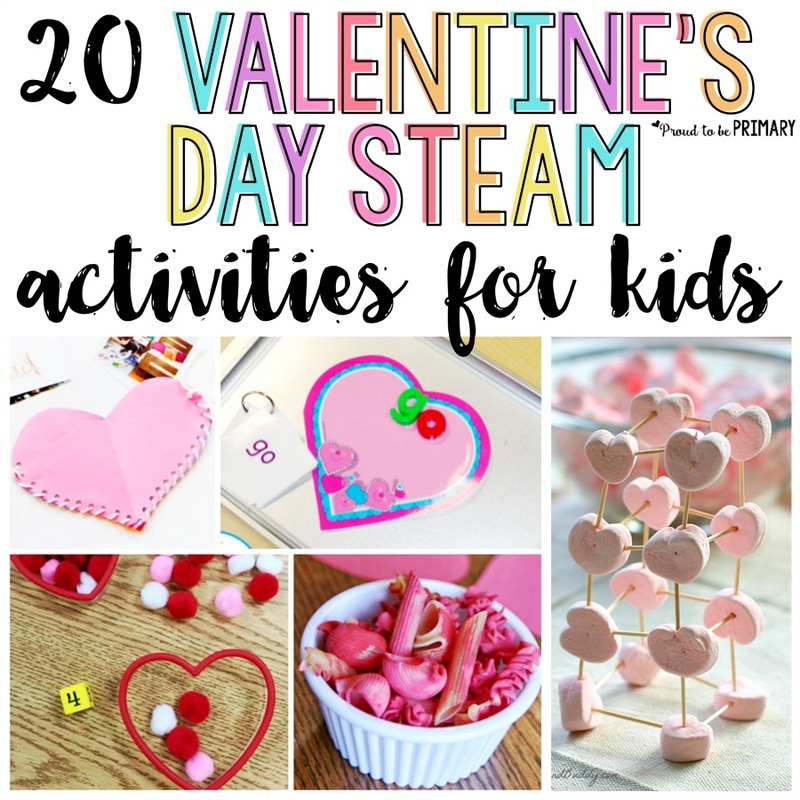 Not only will it be fun having the students inspect the pond water, but there are also free printable activities to do as well. 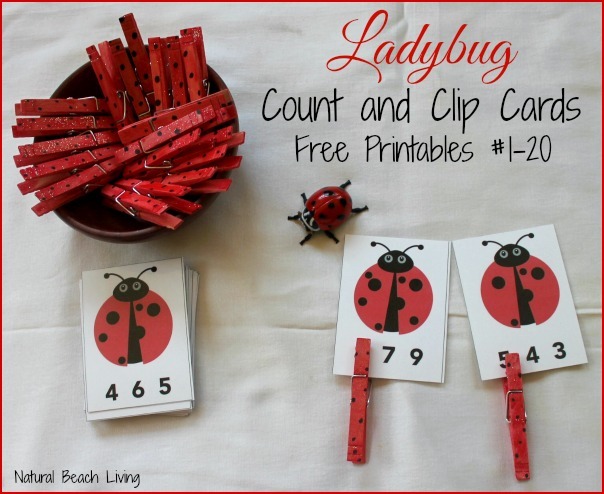 This ladybug count and clip game is a simple math activity that will give your students a great visual and hands-on way to recognize numbers. 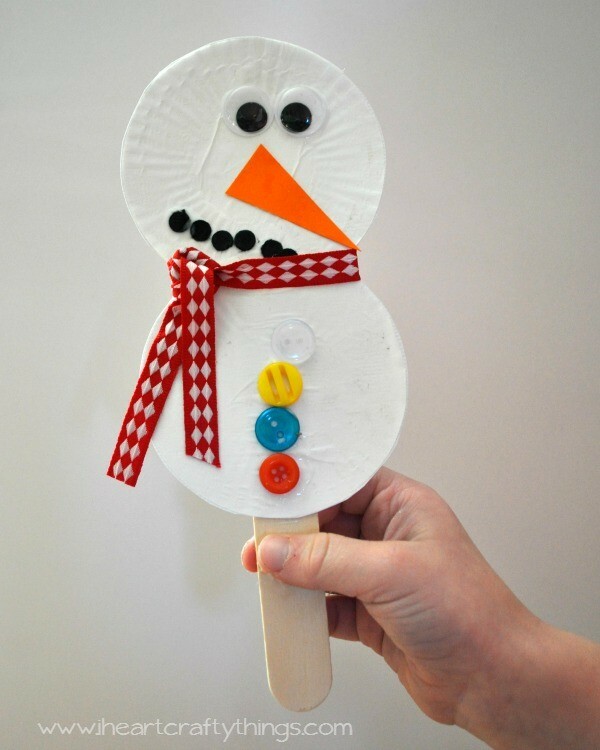 If you want to add a fun craft element to it, you can have your students help paint the clothes pins red and add on wings to make ladybugs. 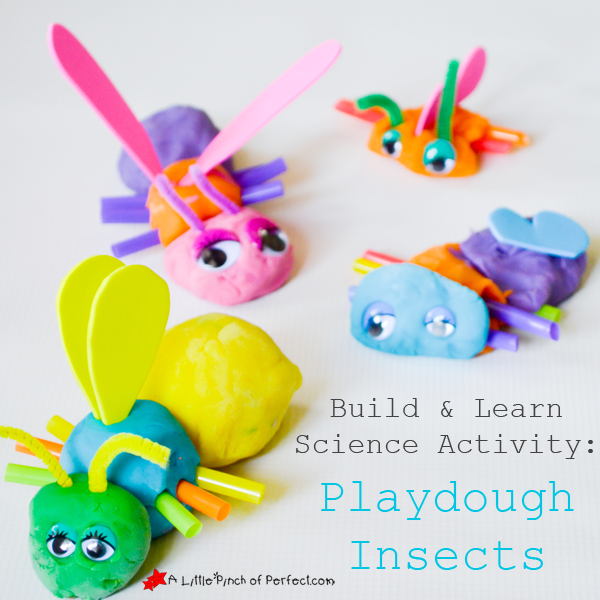 It only takes some playdough and a few craft supplies for students to make these fun insects. 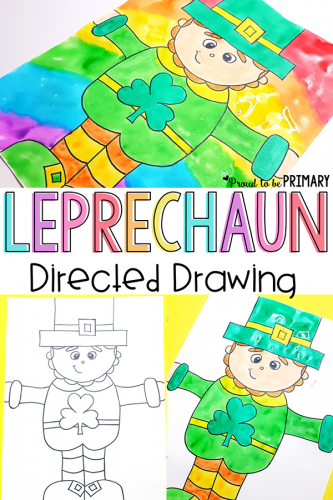 It also opens up discussion on insects and helps teach the various parts. 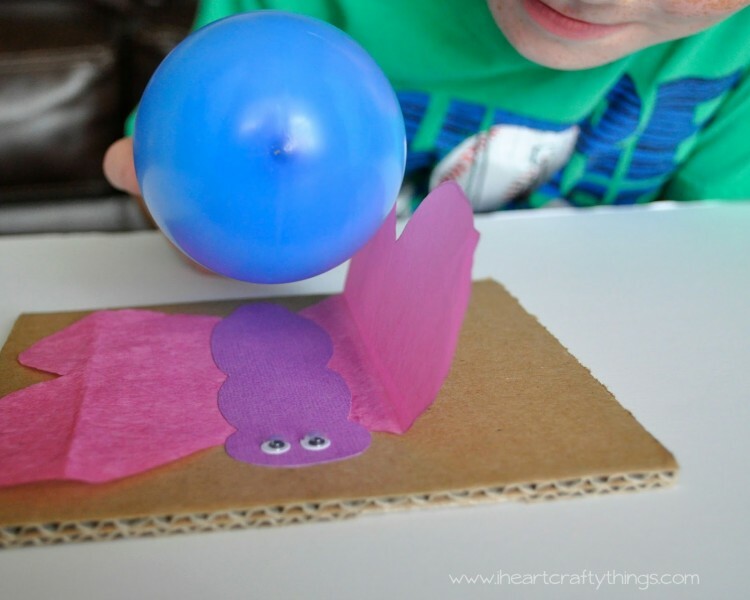 With a balloon and tissue paper wings for a butterfly, have a discussion and hands-on experiment on how static electricity works. 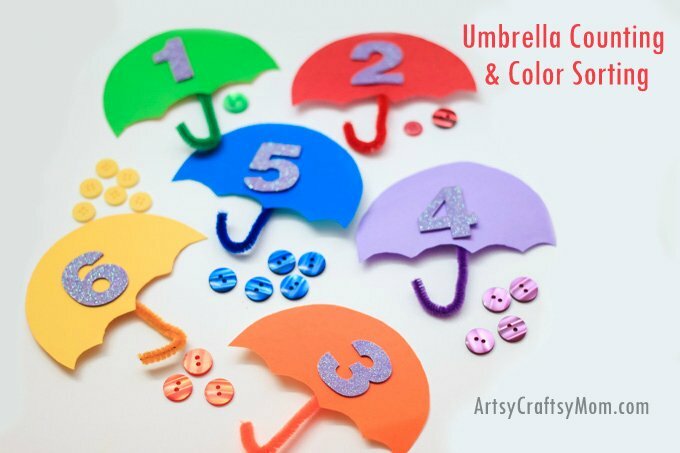 Spring is known for having a rainy period, so umbrellas are the perfect image to use in this counting and color sorting game. Every umbrella is assigned a number and is a specific color. 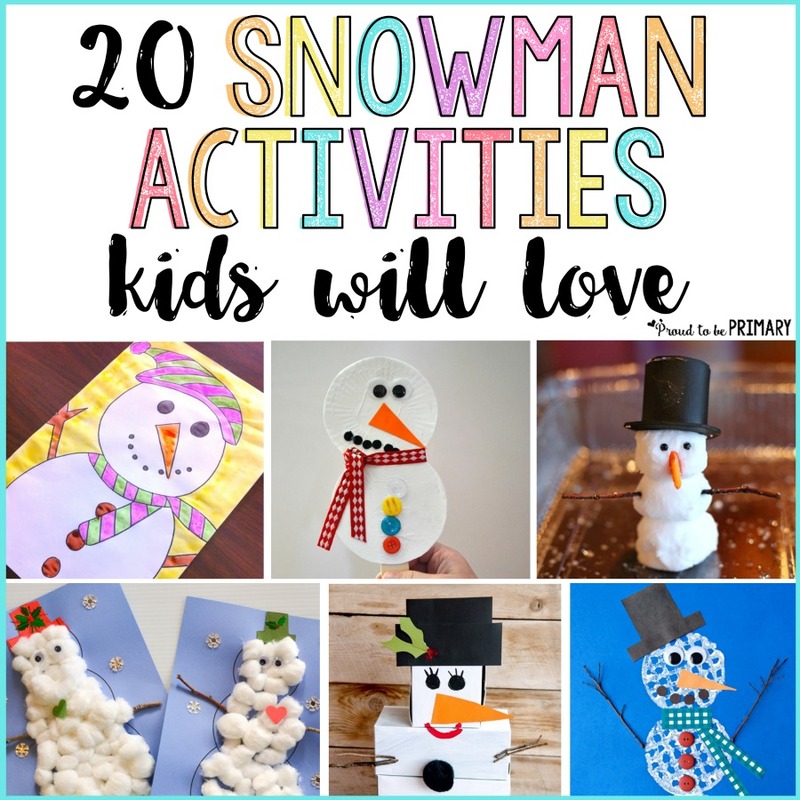 This is a fun activity that does double duty! 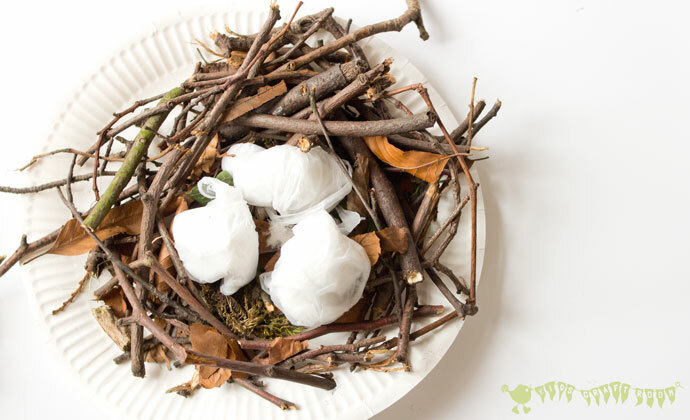 Using items from nature and some art supplies, this STEAM challenge encourages kids to construct their own birds nest – complete with crafty little birds. 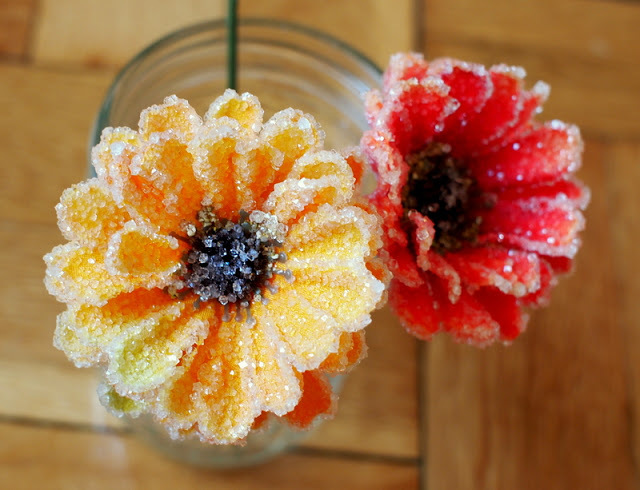 This is another fun science project for kids where they start with a hypothesis and monitor the jar of flowers over time to see how it changes and what that change is. 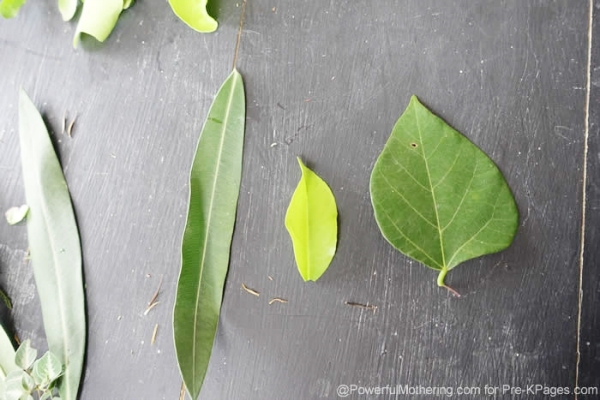 Bring some of nature inside for this math activity involving leaves. 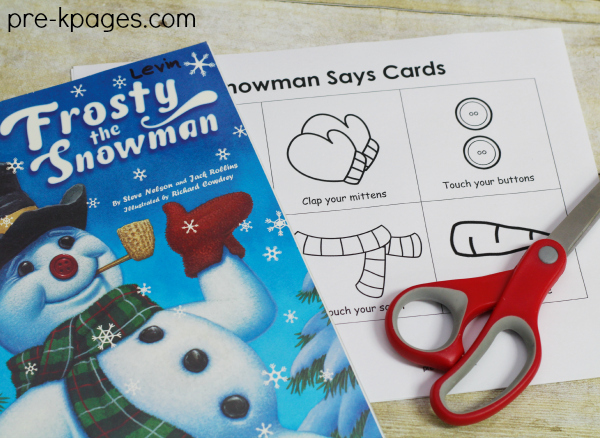 Not only can students count the different types of leaves but they can also use them for texture comparison, measuring the different heights, and pattern making among many other options. Incorporating flowers and butterflies into your activities gives everything that warm feeling of spring. 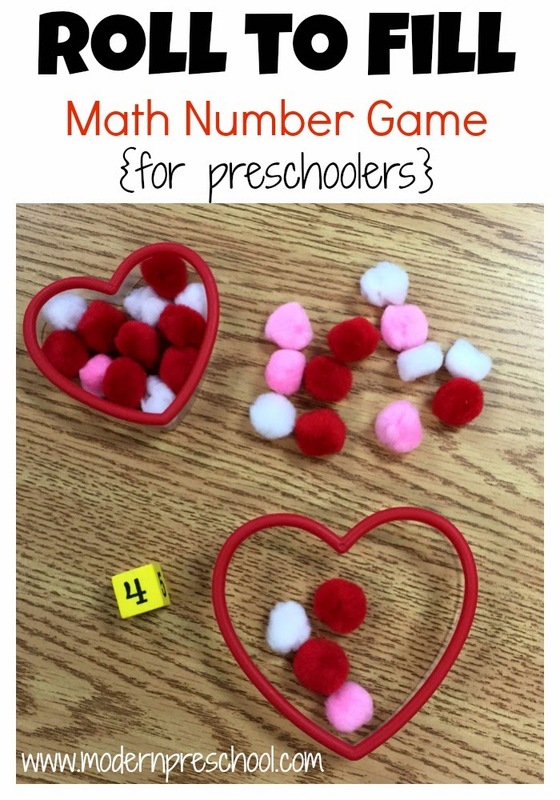 This math game is no exception. 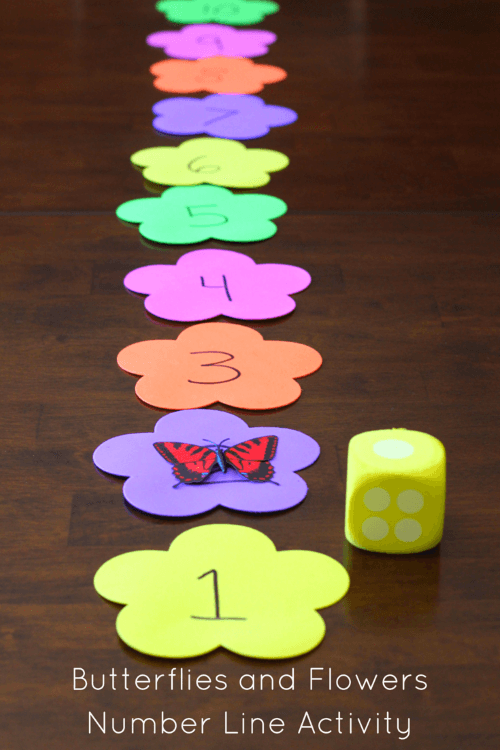 Students will roll the die, trying to get their butterfly to the number ten (or whatever the highest number you decide to use). 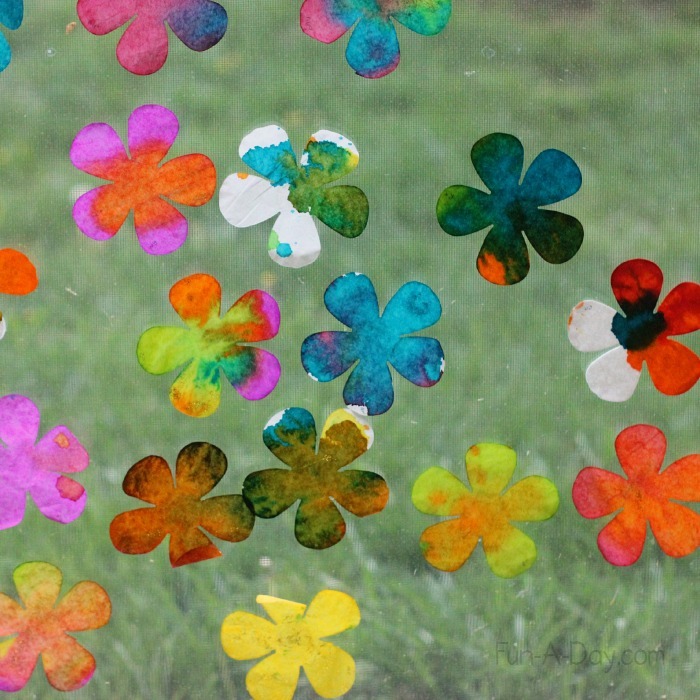 What’s your favorite spring activity for kids?